It’s been a while since my last home-screen-update post, and quite a bit has changed. Here’s what my home screen looked like in May and in January. These are the apps I use the most or I want easy access to. I’m currently using a wallpaper from AR72014. This is a slightly desaturated version of Colorful Sky V3. The subtle color and textures are pleasing and allow the icons to pop. Below are a few notes on some of the apps I have on my home screen. I use Toggl to track my time on various tasks and projects. I wrote previously how I used Workflow to start and stop time entries because the official Toggl app isn’t for me. Wanting more functionality like editing or deleting time entries, I decided to make my own Toggl app since their API is rather robust. I’ve been hard at work on Timery for the last several months, and it should be ready soon! This is a journaling app that collects manual thoughts and media and also automatically imports tweets, Instagram and Facebook posts, and other social-media feeds. I’ve been using Momento for several years now, and looking back at memories and what I was doing, thinking, and even tweeting years ago is something special. I enjoy trying different apps to see how they solve the same problems, and transportation apps are no exception. In Los Angeles where many public-transportation lines run infrequently or have earlier-than-ideal-end-of-service times, Transit has some key features for me: its active-trip mode lets me know when to get off, whether or not I’ll make a connection, and what my ETA is. I switched to Castro after their big 3.0 update, and I’m really enjoying the app. Many design aspects and interactions are clever and just fun. 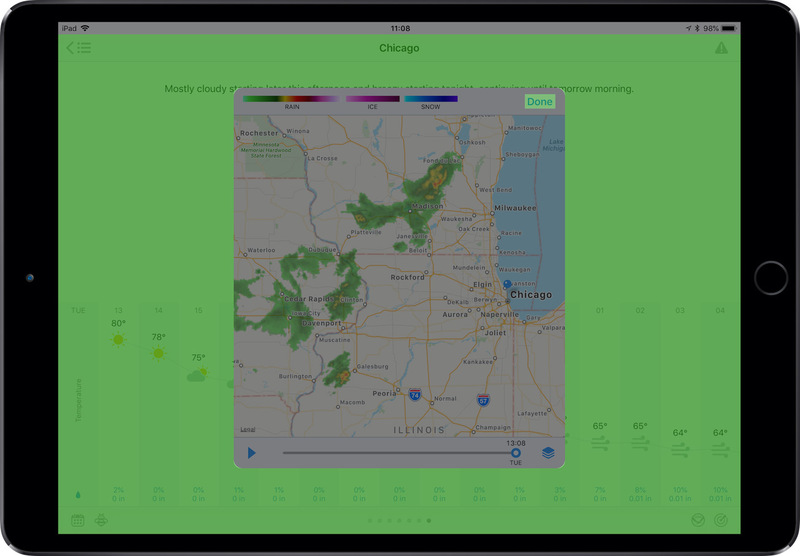 The drag & drop support inside the app is particularly clever and fun. 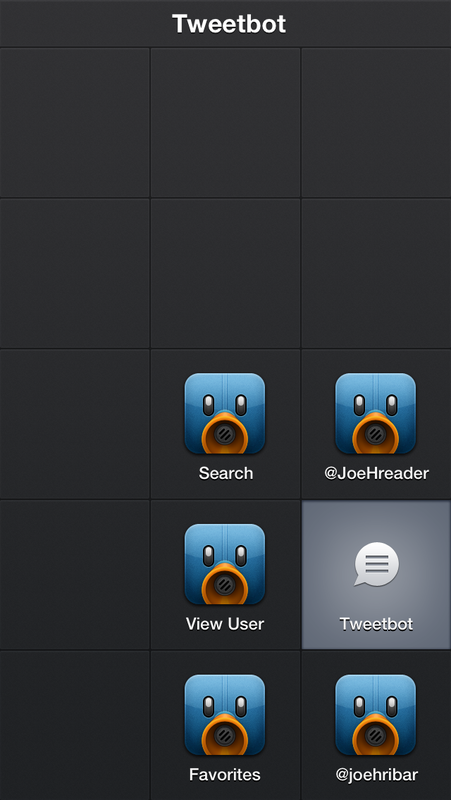 I’ve been an avid Tweetbot user since the first version came out. 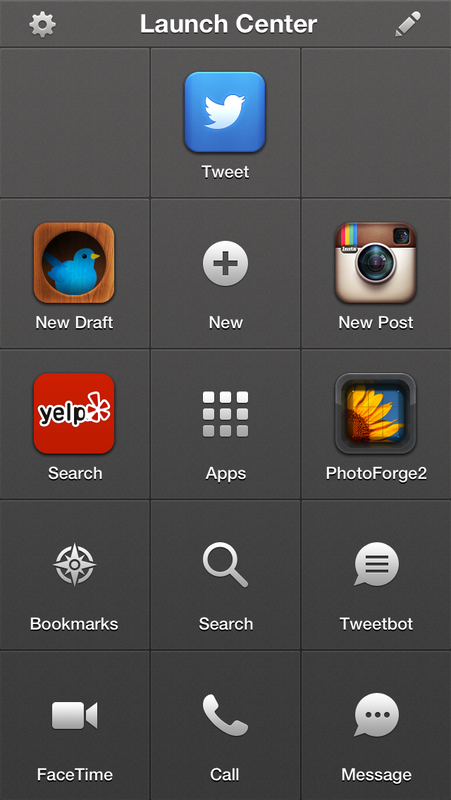 But I’m using Twitterrific now because certain things about Tweetbot 5 drove me away. There are certain things Tweetbot does better than Twitterrific, and there are certain things Twitterrific does better than Tweetbot. Perhaps more on this another time. But for now, I’m using Twitterrific and enjoying it. As I said, I enjoying trying different apps. This is a shortcut from Shortcuts saved to my home screen. 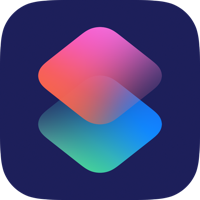 It presents a menu of apps and tasks, and for the selected item, it starts an associated Toggl timer with Siri Shortcuts from my Timery app and then opens the app. 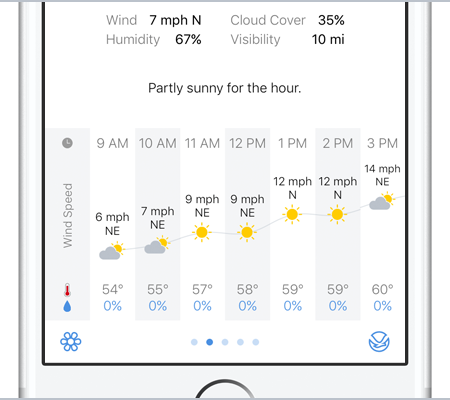 I’m the developer and designer behind this app that shows your weather in quick glances and detailed looks. If you just want a quick glance at what’s happening, Partly Sunny can show that. If you want a more detailed look at what’s happening in the next hour, day, or week, Partly Sunny can show that too. 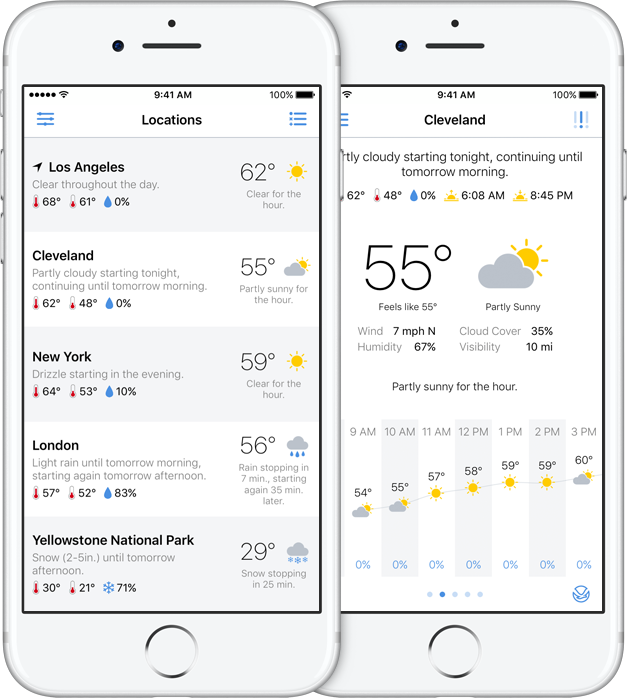 Whichever you prefer, everything is meant to feel at home on iOS. 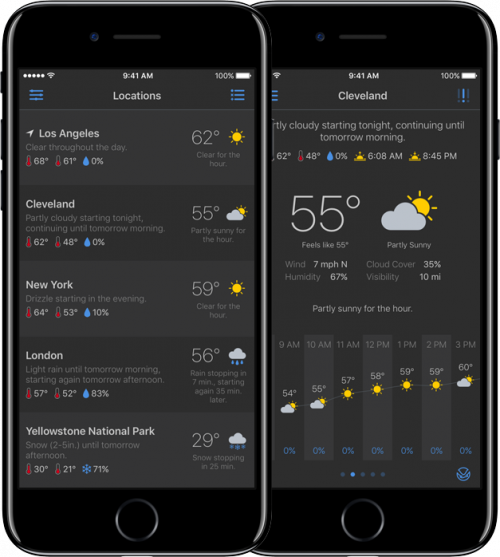 Some of the key features include: customizable hourly graphs; customizable conditions in current, hourly, and daily forecasts; interactive radar; a widget; and a dark mode. 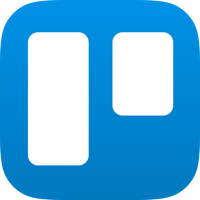 Trello helps me organize Partly Sunny and Timery to-do lists, feature requests, and bug reports as well as plan out future updates. I’ve been using it beyond project tracking too. For the 365-day photo project I’m doing this year, I have a Trello board to save sort-of photo drafts; if I see something interesting I want to revisit for a future photo, I add a photo of it to a Trello board so I don’t forget about it. With its many customization options, gestures, and the jump bar, Apollo is such a delight to use (it’s easy to tell much thought and love has been poured into the app). 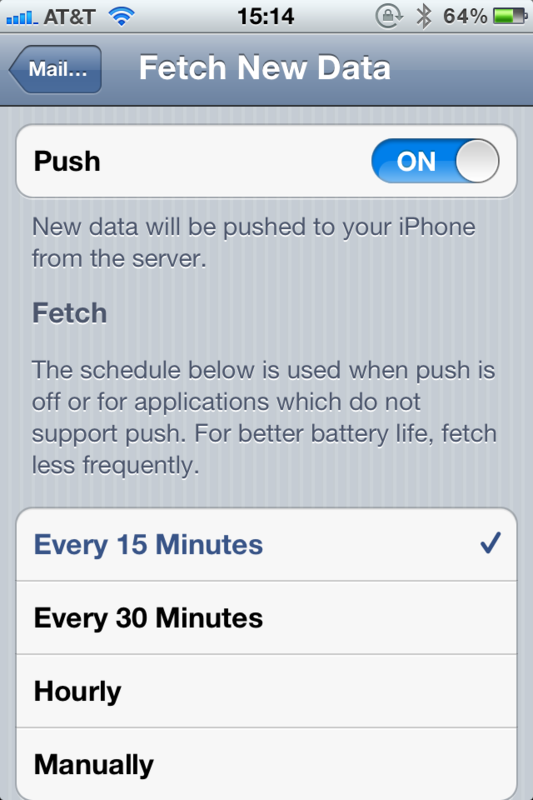 And it feels at home on iOS (always a bonus for me when apps do). 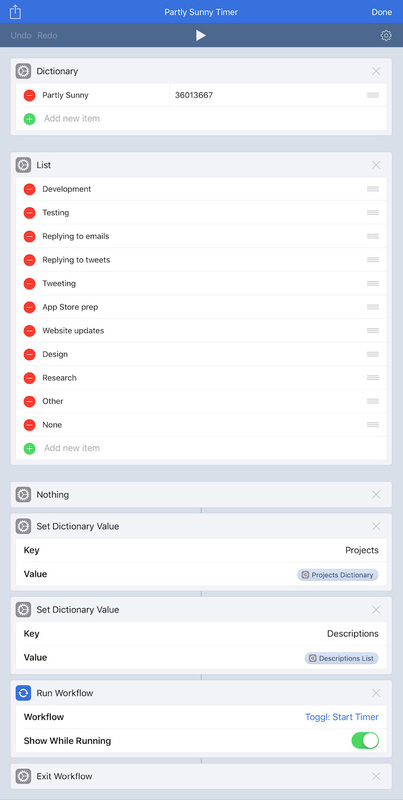 Earlier this year, I started using Things to keep track of my to-dos. Its design is striking for two reasons: it’s beautiful and it’s calming—meaning it doesn’t stress me out to use it. Plus, it doesn’t shame me for not completing a task the previous day. The cost of the apps may be a dealbreaker for many (there’s a separate app for iPad), but Things is more than enjoyable and useful enough to justify the price. I used this app frequently before 3D Touch Shortcuts, widgets, and another launching app largely replaced it. But earlier this year I came back to it after I realized there’s still a place for it, and I’m excited what version 3.0 will bring. 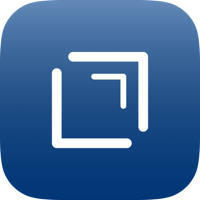 Launch Center Pro is still great for launching into deeper parts of apps and sending text input to process. 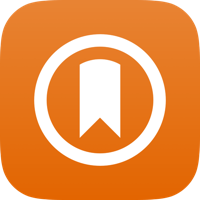 Plus, many times throughout the day I’m launching other apps from Launch Center’s 3D Touch app-icon widget. 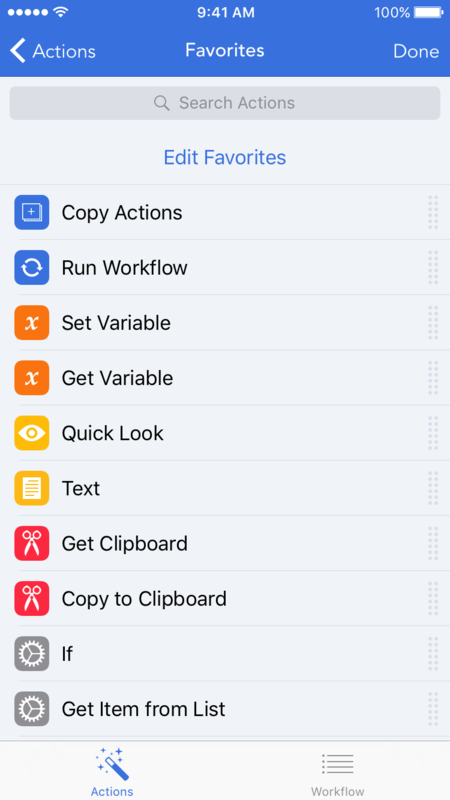 This is an indispensable app for connecting and combining apps and actions to automate tasks—thus saving me time and effort. 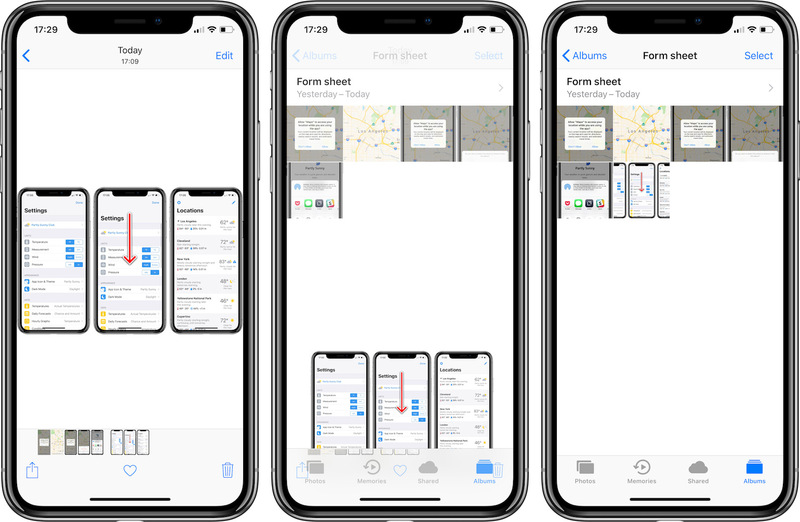 I have shortcuts for sharing photos, adding calendar entries and reminders, adding Trello cards and attachments, adding Apple device frames to screenshots, parsing email receipts, and more. Sure, I could do all those things without Shortcuts, but Shortcuts makes those things easier. Plus, I love making shortcuts. I wish I could find a job as a “Senior Shortcut Builder”. 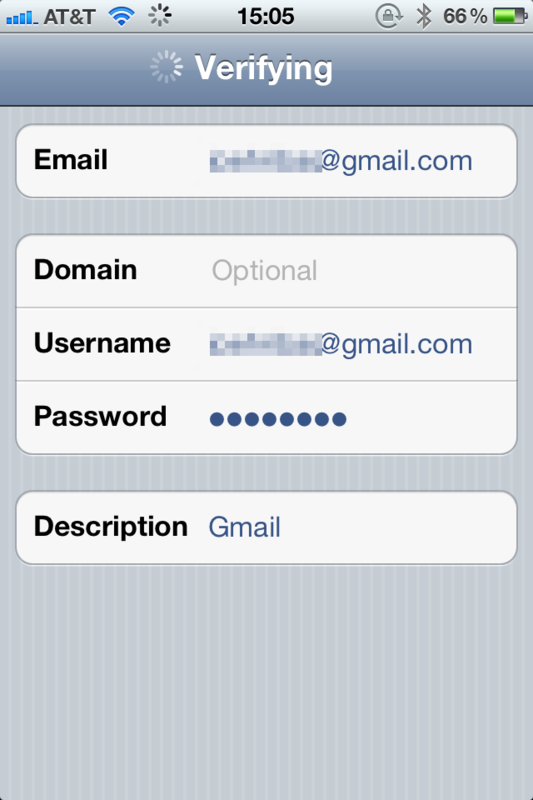 If you aren’t already using a password manager to create and store passwords, you really should. 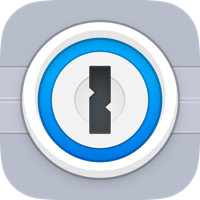 1Password has been my password manager of choice for a long time now, and I’m excited to have it more integrated and easier to use in iOS 12. 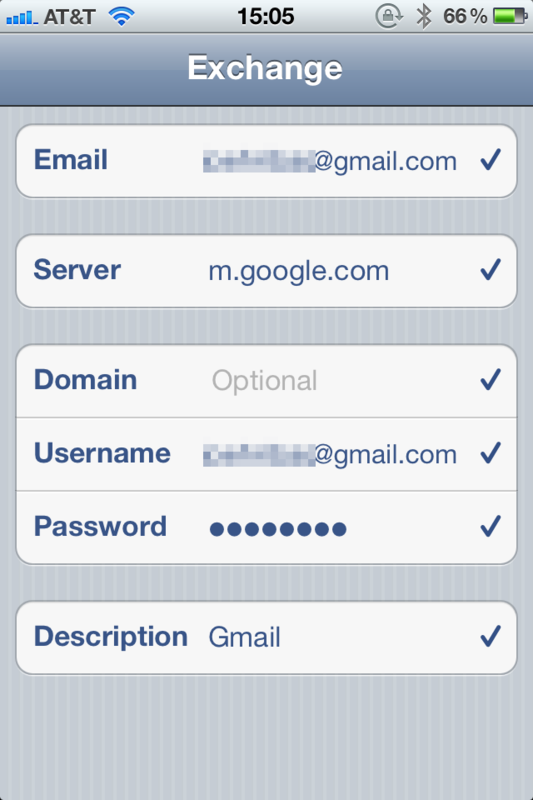 Having 1Password directly integrated into iOS password suggestions is so convenient. 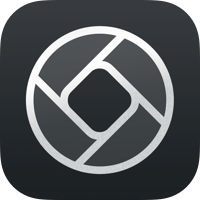 A polished, powerful manual camera app. One of my favorite features is when in manual-focus mode, I can turn on highlighting of what’s in focus in the frame—immensely helpful when I’m trying to compose a shot with a particular thing in focus. Something I like about Halide in particular over other manual camera apps is that it doesn’t overwhelm me. Some manual camera apps have so much going on they become intimidating or convoluted. 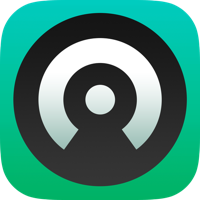 But Halide keeps things simple while still being powerful. 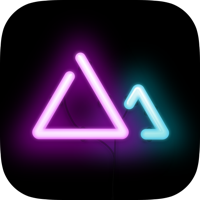 A polished, powerful photo editing app to complement Halide (the two apps have buttons in each that launch the other). I’ve been using this to make my daily photos pop just a bit more. Plus, the depth-editing features are helpful to make Portrait Mode photos really shine. As a complement to my wallpaper, my lock screen uses Colorful Sky by AR72014. So that’s my home screen setup. December 2018 edition. As I said last time, I like to tinker, so no doubt this will get tweaked soon. What does your home screen look like? Come find me on Twitter and let me know! I thought perhaps I would make sharing my home screen setup a regular thing. Back in January, I posted my then-current setup. Four months later, my home screen is a bit different, so here’s an update. These are the apps I use the most or I want easy access to. As for my wallpaper, this is a wallpaper I’ve been using for years (I have no idea where I originally found it) (and actually it’s too small for iPhone X, but I’m using it anyway). 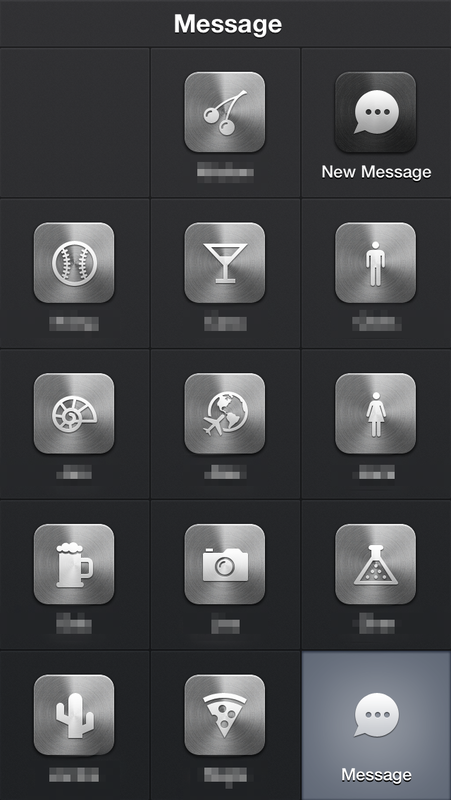 The subtle grays and textures are pleasing and allow the icons to pop. Below are a few notes on some of the apps I have on my home screen. For me, this is the gold standard of what a Twitter app should be. 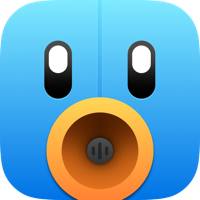 With thoughtful design and interactions, timeline sync, and more, Tweetbot is an all-around terrific Twitter app. I hope Twitter’s recent API news doesn’t make Tweetbot—and all third-party Twitter clients—unusable. I use Toggl to track my time on various tasks and projects. I wrote previously how I used Workflow to start and stop time entries because the official Toggl app isn’t for me. Wanting more functionality like editing or deleting time entries, I decided to make my own Toggl app since their API is rather robust. I don’t know ultimately what the roadmap for Timr is, but for now it offers me a better way to interface with Toggl—and, unlike the official app, works natively on iPad and with iPad multitasking too! 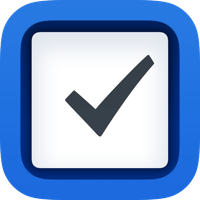 This is an indispensable app for connecting and combining apps and actions to automate tasks—thus saving me time and effort. 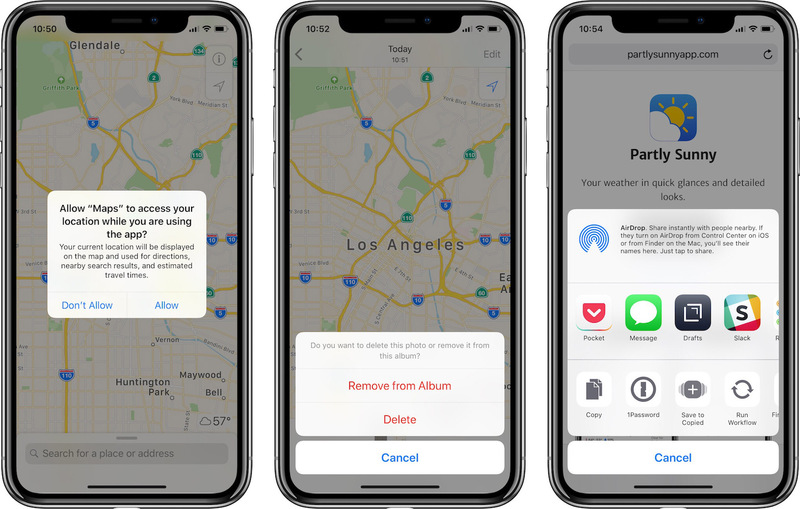 I have workflows for sharing photos, adding calendar entries and reminders, adding Trello cards and attachments, adding Apple device frames to screenshots, parsing email receipts, and more. Sure, I could do all those things without Workflow, but Workflow makes those things easier. Plus, I love making workflows. I wish I could find a job as a “Senior Workflow Builder”. I recently started using Things to keep track of my to-dos. Its design is striking for two reasons: it’s beautiful and it’s calming—meaning it doesn’t stress me out to use it. Plus, there’s no concept of overdue in Things, so it’s never shaming me for not completing a task. The cost of the apps may be a dealbreaker for many (there’s a separate app for iPad), but Things is more than enjoyable and useful enough to justify the price. I enjoy trying different apps to see how they solve the same problems (see: Things), and transportation apps are no exception. In Los Angeles where many public-transportation lines run infrequently or have earlier-than-ideal-end-of-service times, Transit has some key features for me: its active-trip mode lets me know when to get off, whether or not I’ll make a connection, and what my ETA is. 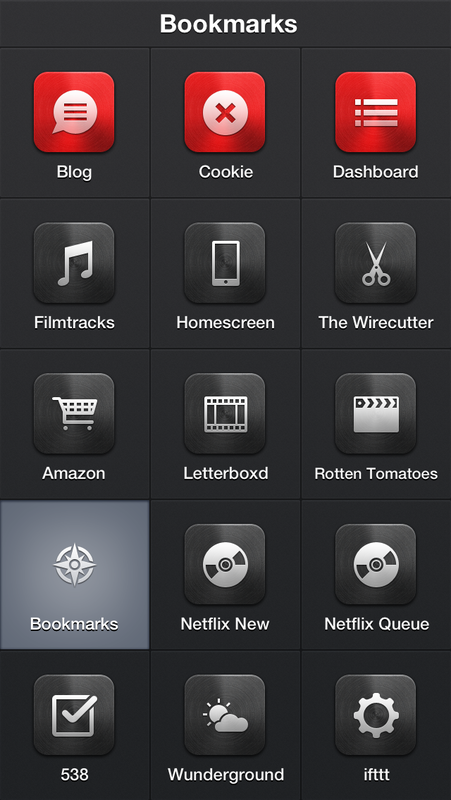 In the previous post, I had just started using this RSS reader, and here I am four months later still using it. Still one of the most notable things for me is it feels at home in iOS 11 with its design choices. Another notable thing is it can fetch the full text of articles that get truncated in feeds. Here’s a bar graph comparing my Reddit usage before Apollo was released vs after: ▁ ▇. With its many customization options, gestures, and the jump bar, it’s such a delight to use (it’s easy to tell much thought and love has been poured into the app). 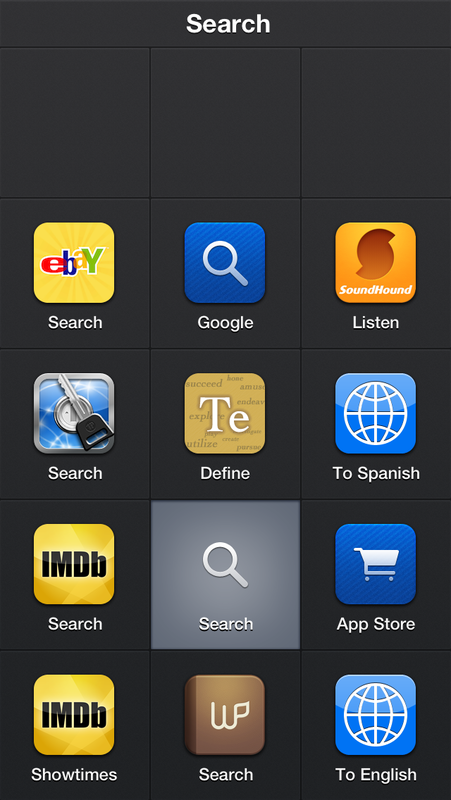 And like lire, it feels at home on iOS. Trello helps me organize Partly Sunny to-do lists, feature requests, and bug reports as well as plan out future updates. 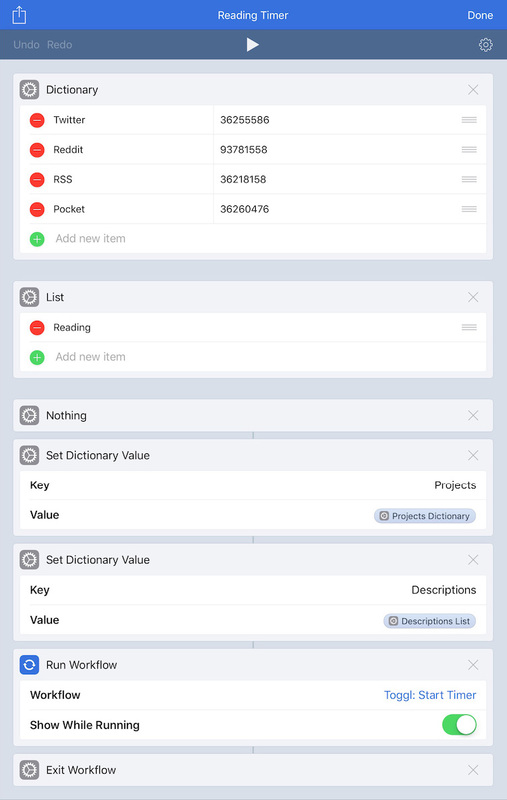 I started using it beyond project tracking too. This year, I embarked on a 365-day photo project where I take and share a photo each day. I have a Trello board to save sort-of photo drafts; if I want to revisit something for a future photo, I take a photo and add it to this board so I don’t forget about it. A polished, powerful manual camera app. One of my favorite features is when in manual-focus mode, I can turn on highlighting of what’s in focus in the frame—immensely helpful when I’m trying to compose a shot with a particular thing in focus. So that’s my home screen setup. May 2018 edition. As I said last time, I like to tinker, so no doubt this will get tweaked soon. What does your home screen look like? Come find me on Twitter and let me know! With my iPhone X in my hand, I’m checking the weather for my current location in Partly Sunny, and I want to see my full locations list. What do I do? I swipe from the left edge of the screen to go back. I’m done checking the weather, and I want to go to my home screen. What do I do? I swipe up from the bottom. I open Photos, swipe through my Camera Roll, favorite some photos, and now I want to go to the Favorites album. What do I do? I swipe down on the current photo to get back to the Camera Roll, I swipe from the left edge to go back, and now I can tap on the Favorites album. With all that navigating, I didn’t press any buttons. I only used gestures. 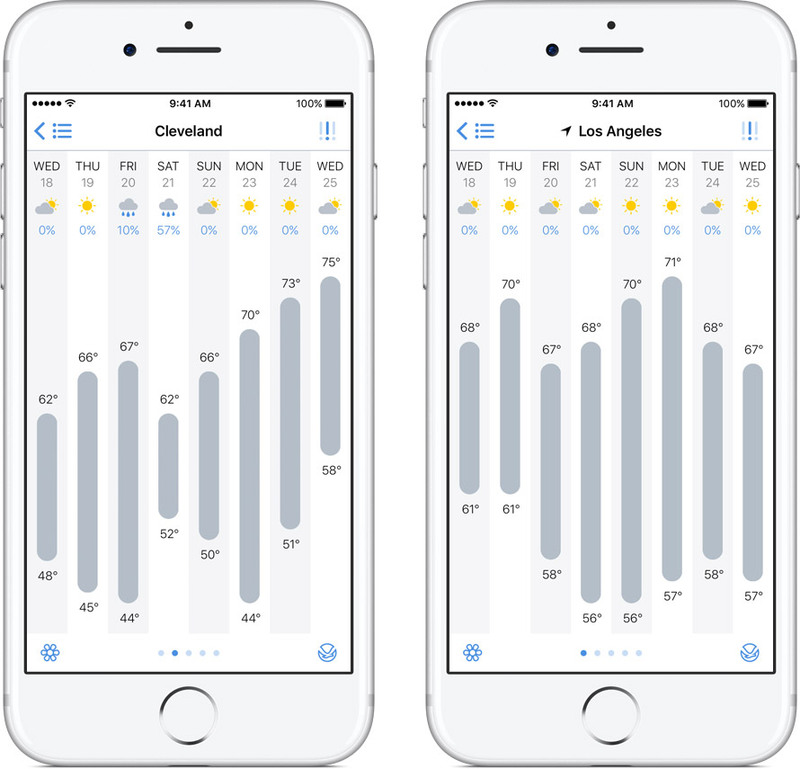 Gestures are an increasingly important part of iOS. 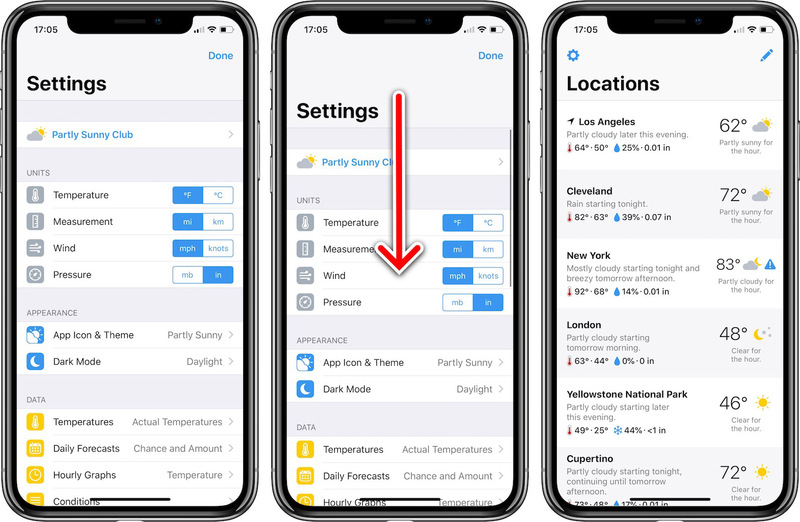 Whether they’re a simple tap to dismiss, a swipe to go back, or a pinch to close, gestures not only offer shortcuts, they offer increased usability. There is one particular place in iOS that hasn’t been given some gesture love but dearly needs some: modal form sheets. 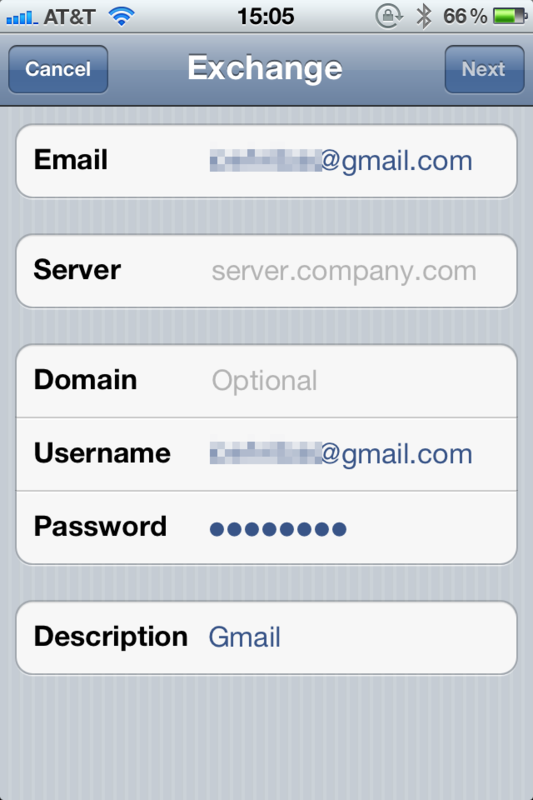 No doubt you’ve seen and interacted with form sheets in iOS before. On iPhone, they slide up from the bottom of the screen and fully cover the other view you were interacting with. 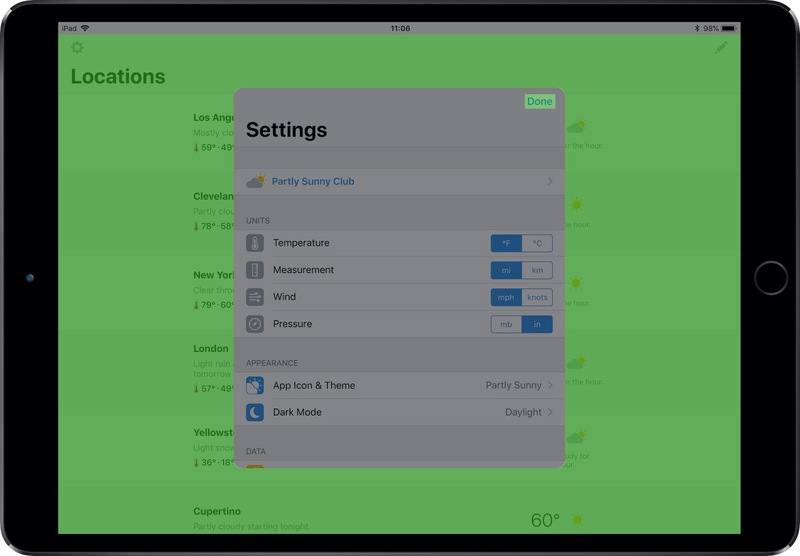 On iPad, they slide up from the bottom and occupy a portion of the width and height of the screen. The area of the other view not covered by the form sheet is dimmed underneath. By default, when modal form sheets are displayed, there is one way to dismiss them: the Done button in the top-left or top-right corner. This can make dismissing form sheets user-unfriendly. On iPads, this button occupies a tiny portion of the screen—meaning there’s just a tiny portion of the screen that can dismiss the modal. And on taller iPhones, reaching for the Done button can be challenging. How can dismissing form sheets be made easier? Gestures! Before we get to that, let’s define a few things. First, what’s a modal? In its basic definition, a modal is a view that covers up another view and prevents interaction with that other view (the parent view) until an action occurs on the modal view. What are some examples of modal views? In iOS, there are a variety of modal views. 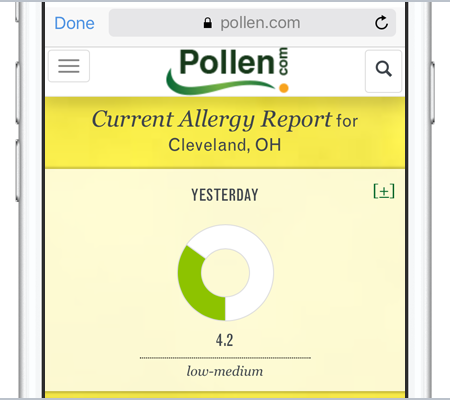 There are alerts (centered on the screen with usually a message and one more more buttons), action sheets (anchored to the bottom of the screen and usually show two or more choices to act on something), and activity sheets (commonly know as “share sheets” to copy, send, or share content). These types of modal views are defined by iOS. One more type of modal view is defined by developers. 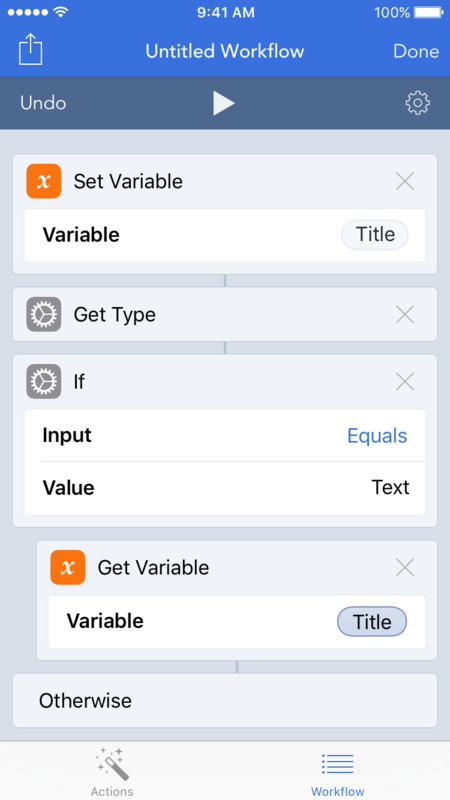 When showing (called “presenting” in iOS parlance) a custom view—say a settings view with options and submenus—developers can choose to present the view modally. 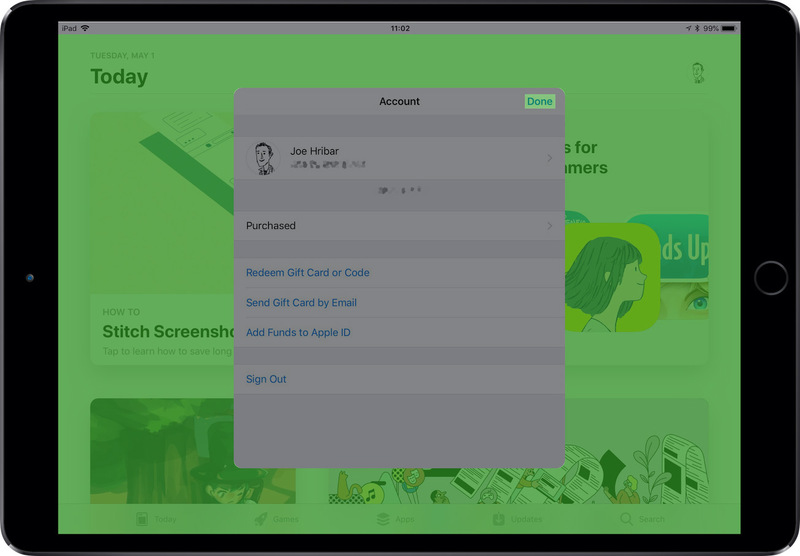 By default, the view will slide up from the bottom of the screen and cover the view the user was interacting with. When presenting a view modally, developers can choose a few styles for the modal view. From the iOS Human Interface Guidelines, the styles are “full screen”, “page sheet”, and “form sheet”. On smaller screens, page sheets and form sheets cover the whole screen, but on larger screens, they cover a portion of the screen. The portion of the parent view not covered is dimmed underneath. I’m going to focus specifically on form sheets though the improvements I discuss would also apply to page sheets and mostly to full screen modal views too. What are some examples of form sheets? 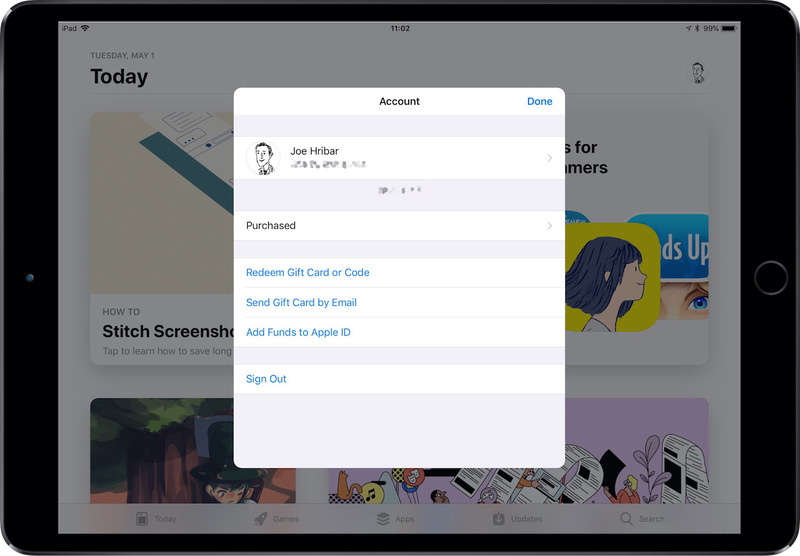 In App Store, viewing your Apple ID account presents a form sheet. 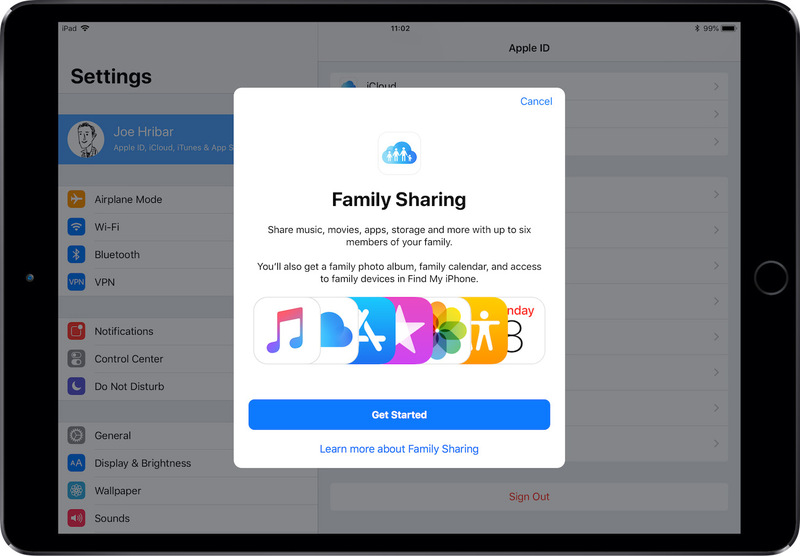 In Settings > Apple ID, tapping “Set Up Family Sharing” presents a form sheet. And in Partly Sunny, viewing settings, editing the locations list, and viewing radar all present a form sheet. So how can dismissing form sheets be made easier with gestures? Here are two ways. First, on iPad, tapping anywhere outside the form sheet where the parent view is dimmed underneath should dismiss it. 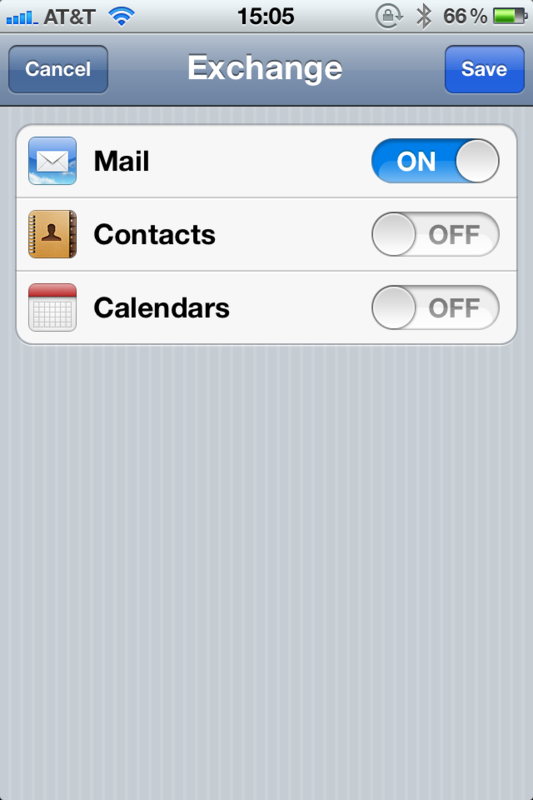 Here’s the current active area of the screen where tapping will dismiss the form sheet: just the Done button. And here’s what the active area to dismiss the form sheet should be: both the Done button AND the space outside the view (the status bar is still reserved for its interactions like scrolling a view to the top). The space outside the form sheet currently is a touch dead zone; the dimmed area merely prevents taps to the view underneath. Why not use this space to dismiss the form sheet? Tapping outside a view to dismiss it already exists elsewhere in iOS—even for dismissing modal views. When an action sheet or activity sheet is presented, tapping above or outside the buttons or view will dismiss the sheet. 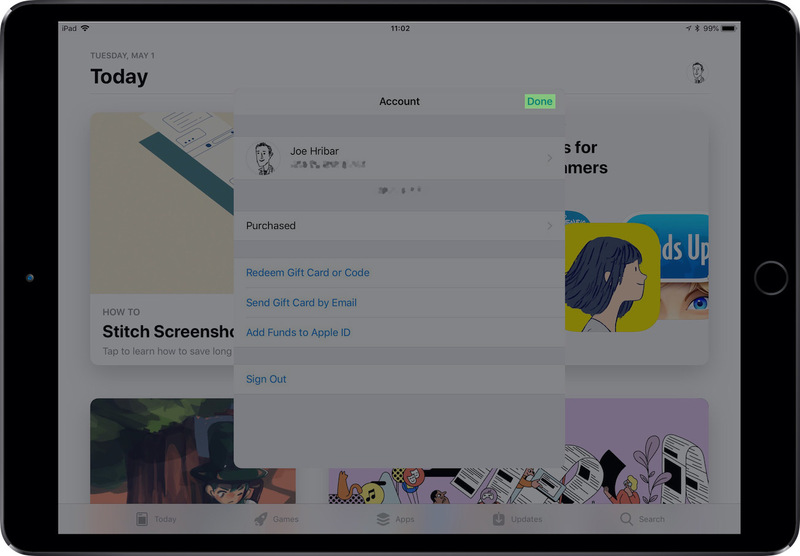 In the iOS 11 App Store, tapping a Today story tile or list tile opens a sort-of page sheet where, on iPad, tapping to the left or right of the view in the blurred area will dismiss the view. This example isn’t a modal view per se, but it applies. On iPad when pulling down on a Messages notification banner to reply to the message, tapping to the left or right of the messages view in the blurred area will dismiss the view. 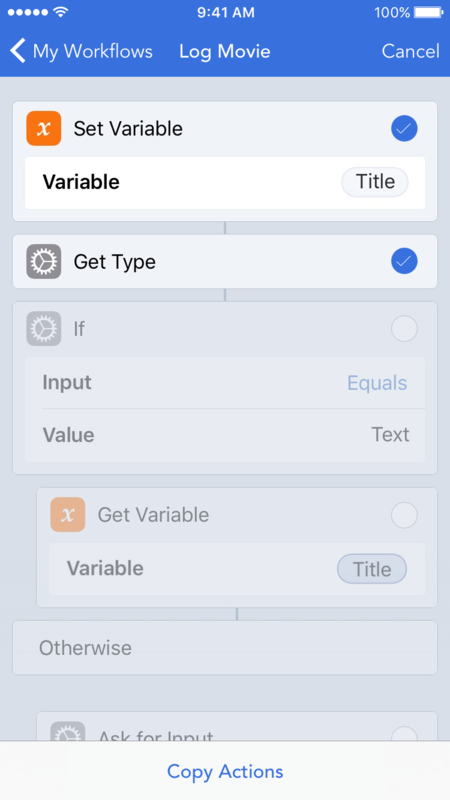 With the latter two examples, perhaps these relatively new interaction methods will inform an updated modal system in a future iOS version. // don't forget the delegate method! Partly Sunny uses this workaround, so in any of the previously mentioned form sheets, tapping outside the view will dismiss it. 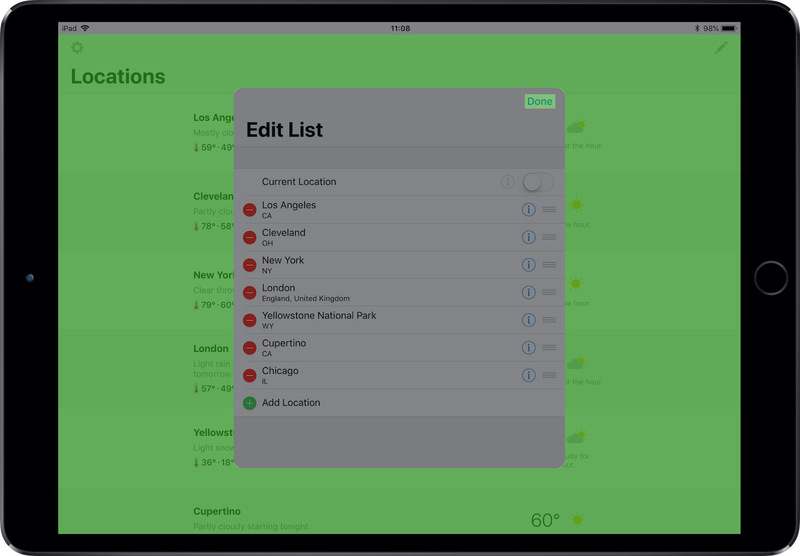 This works for iPad, but what about iPhone where the form sheets cover the full screen and there isn’t any dimmed area? The second way to make dismissing form sheets easier is dragging. Once the view is dragged down a certain amount, the view should dismiss. This would work on iPads too. This idea of dragging down to dismiss something exists elsewhere in iOS. In Photos, when tapping on a photo in the Camera Roll or an album, the photo goes full screen. Tapping the back button goes back to the album, but also dragging down on the photo will shrink it and fade it to reveal the album—in other words, dragging down dismisses it. While Maps doesn’t use traditional modal views, the system it uses allows for dragging the cards down to get back to the content underneath. 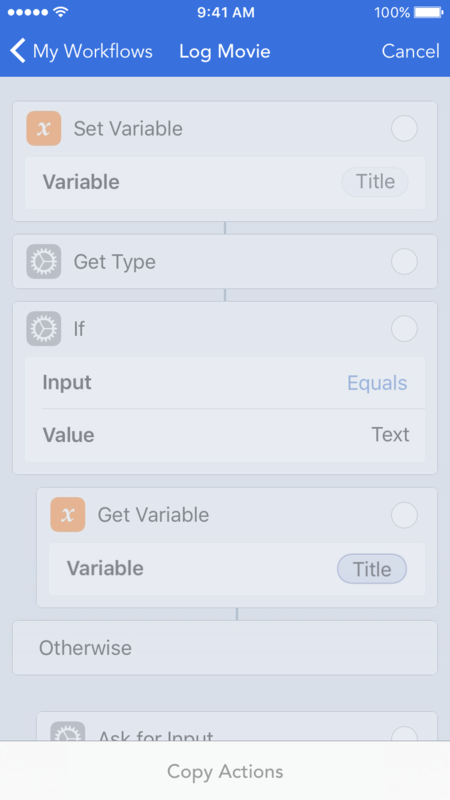 Form sheets and modal views as a whole are important and useful tools for iOS app developers. Dismissing them could be a bit more user-friendly, and gestures—tapping outside the view and dragging down on the view—can accomplish that. I hope a future version of iOS gives developers out-of-the-box tools to do both and thus standardizes these interaction methods. Until then, developers can use their own solutions like those above. If you have suggestions how I can improve tapping outside the view or dragging down on the view, please let me know. Now it’s time for me to swipe down on this and get back to work. Thanks to Federico Viticci at MacStories, last year I started using Toggl to track the time spent on many of my tasks. I started initially for two reasons. First, the work I was doing at the time was hourly, and I punched in and out for the day and for lunch. Keeping an account of how long I had been working and how long I had been away at lunch ensured I didn’t end my day or my lunch too early or too late. Second, there are sometimes long stretches of time when I’m doing something—from working on Partly Sunny to playing a game to just reading Twitter—where I have no idea how long I’ve been doing that something. Tracking my time has allowed me to, well, keep track of my time—it has allowed me to better understand what I’m spending my time on. And in the case of working on a project, it allows me to better understand how long something actually takes to complete. 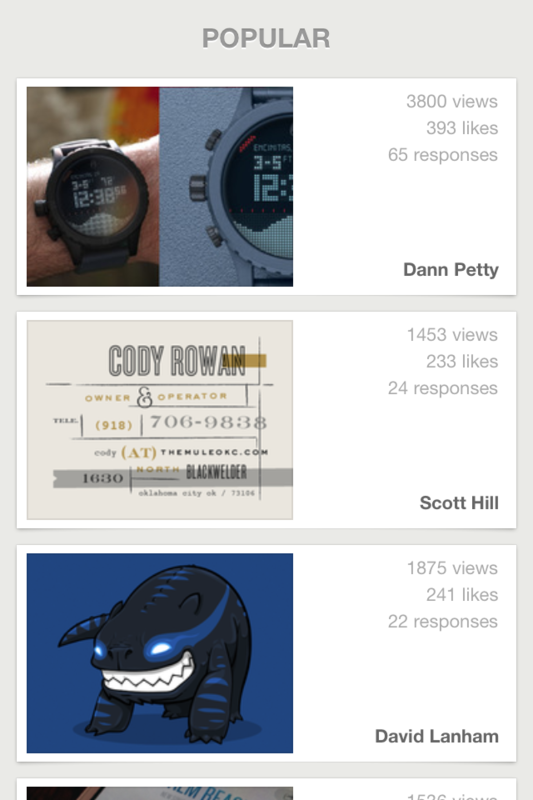 When I started using Toggl, I made sure to not be militant with my time tracking. I’m not tracking everything I do to the point where I get so annoyed with it and want to print out the Toggl website and set fire to it. But things that are work related and tech related—the things I need to track or the things I’m most curious about tracking—I’ve been tracking. To aid in this tracking, I’m using the indispensable (and hopefully long-lasting) Workflow. 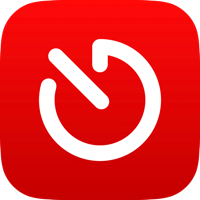 While the new Toggl app has improved over the previous version, it still is clunky to use and doesn’t offer ways to quickly start and stop time entries—like, for example, a widget or Apple Watch app or even 3D Touch shortcuts—and doesn’t have a native iPad app. This is where Workflow comes to the rescue. Federico discussed how he used workflows to start and stop Toggl timers when Workflow gained the ability to more powerfully work with web APIs. Later, in an edition of Club MacStories, he wrote about a new approach that used dedicated workflows for quickly starting and stopping timers. 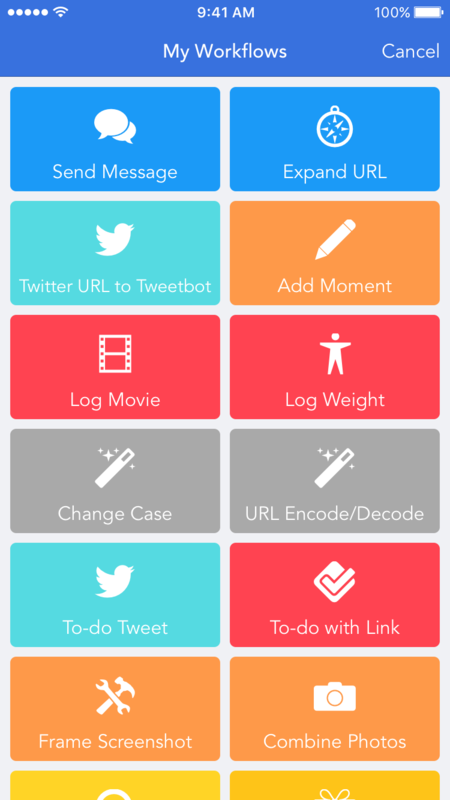 Using his modified workflow idea, I created several workflows fashioned to how I use Toggl. For example, I have a Partly Sunny timer that when run asks what I’m working on (development, testing, replying to emails, etc.) and starts a time entry with that chosen thing as its description. I also have a Games timer that asks what game I’m playing. For this timer, I have several defaults (including Alto’s Odyssey, Really Bad Chess, Mini Metro, and Rodeo Stampede), but I also have an “Other” option. I built my workflows so that if I select “Other”, Workflow will prompt me to type in the other thing I’m doing that isn’t a preset in the list. As I was creating my timer workflows, I kept pulling out portions of them that were the same in each and creating reusable workflows to embed with the Run Workflow action (I’m still happy this was added to Workflow. The Run Workflow action has allowed me to create many reusable workflows to run inside other workflows.). For example, the actions that create the encoded Toggl authentication became a separate workflow. 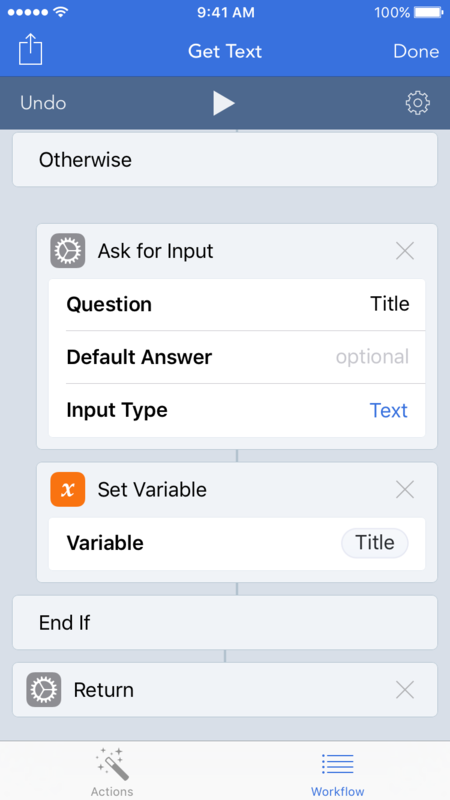 The actions that processed the selected description choice and asked for input when “Other” was selected became a workflow. My goal was to pull out all the duplicate actions so that if I ever wanted to update these core actions I wouldn’t have to update them in ten or more places. Eventually I reached the point where I thought creating a sort-of “super workflow” for starting time entries was the way to go. Rather than having several reusable workflows, could I have just one? Challenge accepted! For me, part of the joy of using Workflow is actually building the workflows and experimenting to see what I can do. It’s like visual programming—visual problem solving. If I send the workflow more than one project ID or description, it asks which one I want to use for the time entry; if there is only one of either, it just uses that one project ID or description. And for the descriptions, if I select “Other”, the workflow prompts me to type in an other item. The workflow is also built to handle “None” for a description; choosing “None” starts a time entry with a blank description. Once this parsing and processing takes place, the workflow starts the time entry. Because the super workflow does all the processing of IDs and descriptions and handles the Toggl API call that starts the time entry, I can more easily create other workflows that set up the timers or groups of timers. These timer-setup workflows then, with the Run Workflow action, run the super workflow. None of the timer-setup workflows contain any of the processing and handling actions, so if I need to adjust them in the future, I’m adjusting them in one place: the super workflow. Reusable code (sort of) for the win! So what do the timer-setup workflows look like? They’re much simpler than the super workflow. Each timer-setup workflow contains a dictionary of project IDs and a list of possible time-entry descriptions associated with the project IDs. For example, my Partly Sunny timer workflow has one project ID—that for my Partly Sunny Toggl project—and a list of several possible descriptions: “Development”, “Testing”, “Replying to emails”, etc. The aforementioned games timer looks similar. 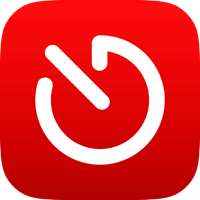 One of my other timers is a reading timer that has four project IDs in the projects dictionary (those for Twitter, Reddit, RSS, and Pocket) and one description in the list: “Reading”. You’ll notice there are a few more actions under the Nothing action. 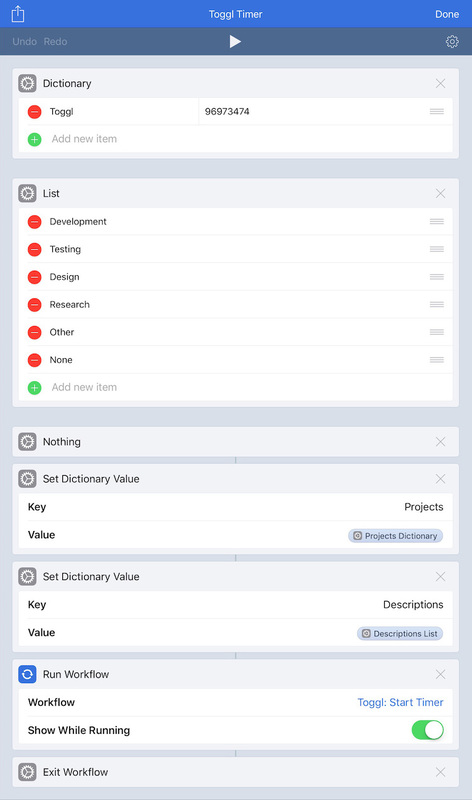 Each of these timer workflows do include a few more actions that package the projects dictionary and the descriptions list into a dictionary that gets sent to the super workflow, and then the super workflow is run. 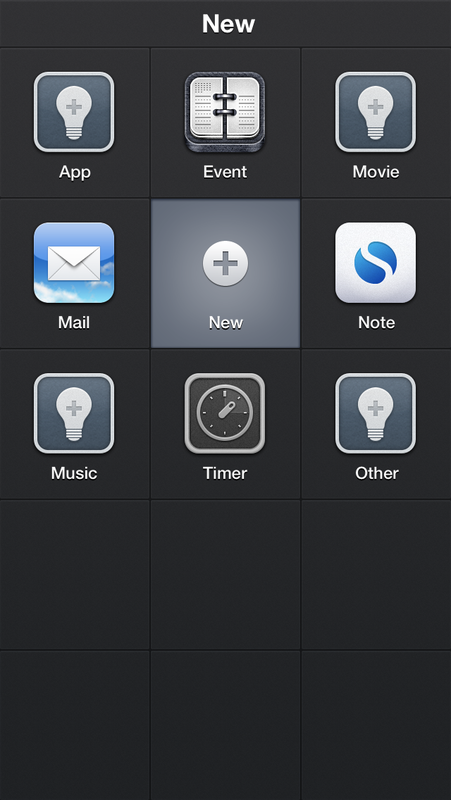 None of these actions are modified when duplicating a timer workflow or creating a new one. So with this setup, how easy is it to create a new timer workflow for something new I want to track? Let’s do it. I’m working on a new app project (more on this later), so I’m going to create a timer workflow for it. First, since I don’t have a workflow for this, I create the project on the Toggl website (I suppose I could—should?—make a workflow to do this). Next, I get the Toggl project ID for it with another workflow (that I believe came from Federico at some point) that returns a list of all my projects and prompts me to choose the one I want the ID of. 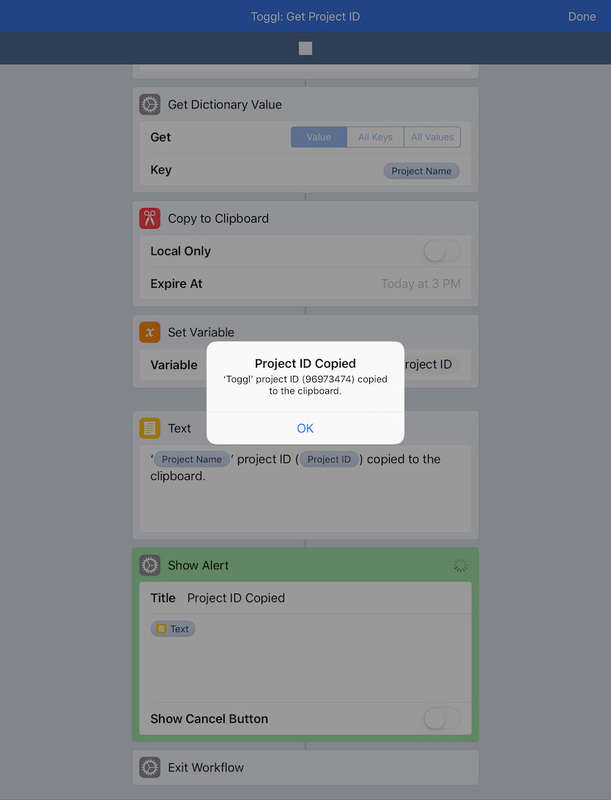 The workflow copies the project ID to the clipboard for easy pasting in the next step. Next, I duplicate an existing timer workflow and delete any project IDs and descriptions I don’t need for this new timer. In the projects dictionary, I type in the name of my project and paste in the ID. Then, in the descriptions list, I add any descriptions I want shortcuts for. And that’s it. My new timer workflow is done. 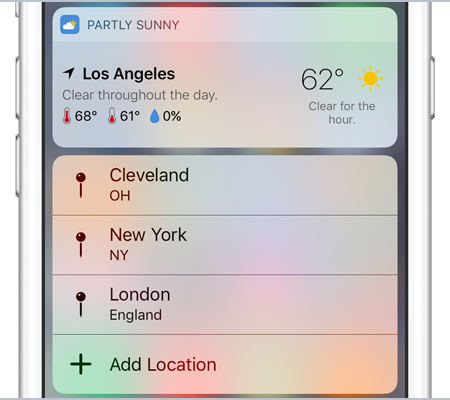 And it works in both the Workflow widget and the Apple Watch app. 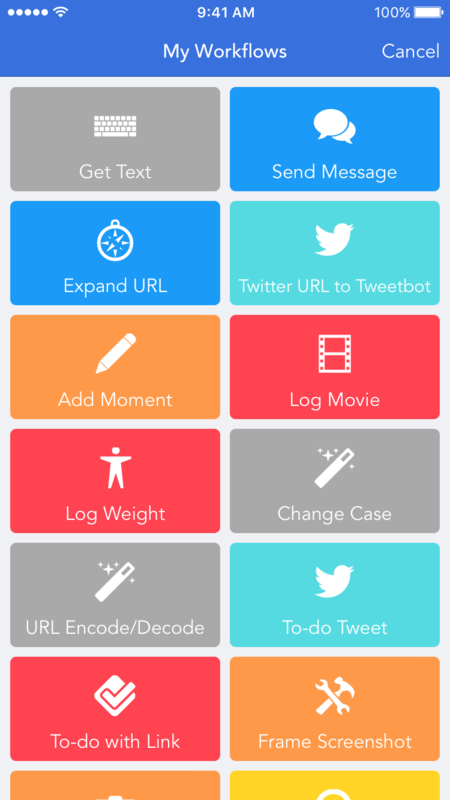 Thanks to the indispensable Workflow, tracking my time with Toggl is easy and convenient. And thanks to the Run Workflow action, I can create reusable workflows to embed in other workflows instead of having duplicate actions in multiple places. And a big thank you goes to Federico for inspiring me to not only better track my time but better track my time efficiently and conveniently with Workflow and Toggl. If you have ideas or suggestions to improve these workflows, please let me know! I enjoy seeing what apps people use and how they’re arranged. 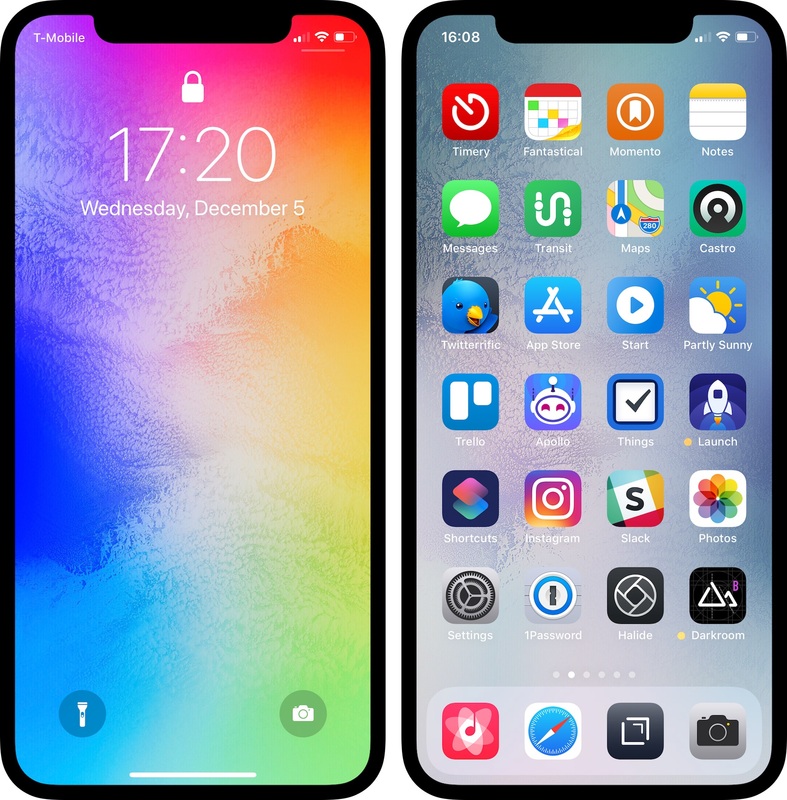 In the past, I’ve shared my home screen on sites like homescreen.me, but recently I learned about the iOSsetups subreddit which is more active than the websites I previously used. These are the apps I use the most or I want easy access to. As for my wallpaper, I’ve been enjoying the built-in multi-colored dynamic wallpaper. Below are a few notes on some of the apps I have on my home screen. For me, this is the gold standard of what a Twitter app should be. With thoughtful design and interactions, timeline sync, and more, Tweetbot is an all-around terrific Twitter app. 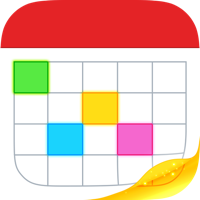 This is an indispensable app for connecting and combining apps and actions to automate tasks to save time and effort. This helps make things a little more efficient. A journaling app that collects manual thoughts and media and also automatically imports tweets, Instagram and Facebook posts, and other social-media feeds. I’ve been using Momento for several years now, and looking back at memories and what I was doing, thinking, and even tweeting years ago is something special. I’ve tried several apps for navigating cities’ public-transportation systems, and Transit has stuck. Thanks to its ability to show nearby stops with realtime train and bus times and its active-trip mode that lets me know when to get off, whether or not I’ll make a connection, and what my ETA is, Transit helps me get to where I need to go on public transportation. Also, they often have fun release notes—a welcomed thing in the age of “bug fixes and performance improvements”. 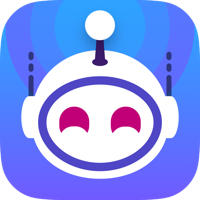 I enjoyed using Alien Blue back in the day, but after it became the official Reddit app, it lost its charm and what made it a great app. Not being able to find a great replacement, I only occasionally browsed Reddit. But then Apollo came along. With its many customization options, the gestures, and the jump bar, it’s such a joy to use that I found myself browsing Reddit much more. I recently started using this RSS reader, and one of the most notable things for me is it feels at home in iOS 11 with its design choices. Add to that it can fetch the full text of articles that get truncated in feeds, and this feels like an app with staying power. I’m rather addicted to this game right now (send help?). Does anyone play? I’m looking for a more active clan. A polished, powerful manual camera app. One of my favorite features is when in manual-focus mode, you can turn on highlighting of what’s in focus in the frame—immensely helpful when trying to compose a shot where I need a particular thing in focus. A sort-of speed dial for apps and actions that uses apps’ URL schemes to launch or deep-dive into the apps more quickly and efficiently. This app is great for when I need to jot down a quick note. From there, I can decide what to do with it later or immediately perform an action or set of actions on the text and send it somewhere else like a message, a tweet, or elsewhere with a URL scheme. One other note about my Dock: since iOS 7 introduced Control Center with its shortcut to Camera, I had the app buried in a folder on another screen. When my phone was unlocked, I used this shortcut to launch Camera. But with Control Center’s less-than-convenient placement on iPhone X, I brought back Camera to my home screen—changing my Dock arrangement for the first time in years—to have easy, quick access to Camera. Here’s hoping iOS 11.x finds a better way to access Control Center on iPhone X. So that’s my home screen setup. January 2018 edition. As I like to tinker, no doubt this will get tweaked soon. Nicole Nguyen at BuzzFeed writes about the Uber/Unroll.me news and more generally on free apps and services. But some sites are much more egregious than others. So here are some ways you can assess an app’s trustworthiness and find out if your free faves are problematic. 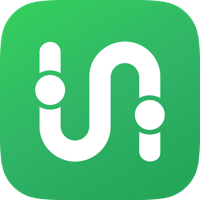 I don’t use either, but the Uber/Unroll.me news has me thinking about the “free” apps & services I do use. If there’s only one thing you take away from this article, let it be this: there’s no such thing as a free lunch. 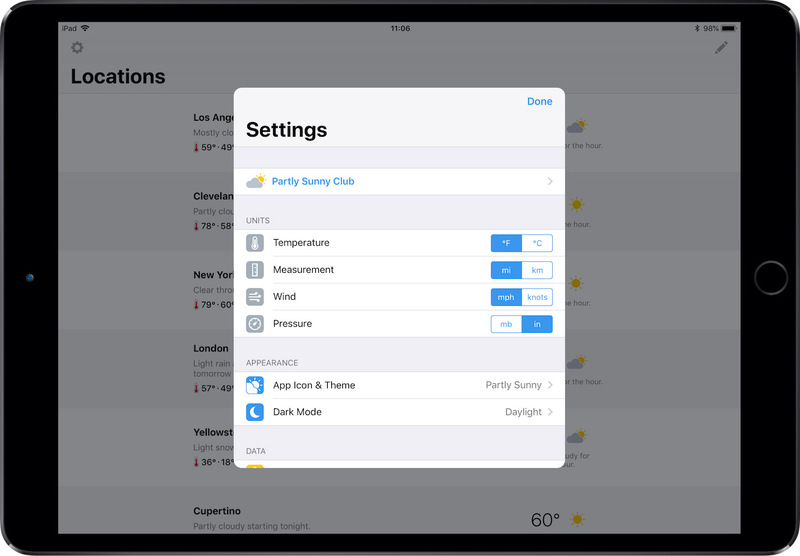 When I set out to make Partly Sunny, my weather app for iPhone and iPad, there were a few design and technical solutions I knew I wanted to include: things like making custom icons and using specific APIs. 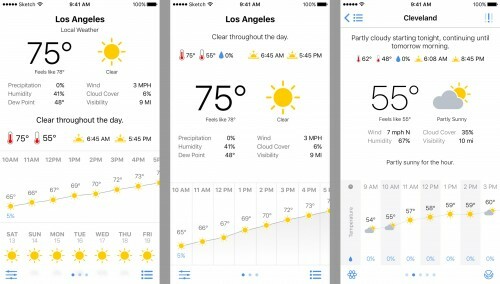 These solutions would go toward building the weather app I wanted to use and would help differentiate Partly Sunny from other weather apps on the App Store. What follows is a sort-of behind-the-scenes look at Partly Sunny. I’ll start with discussing some of the design solutions and show some draft designs, and in a subsequent post, I’ll discuss some of the technical solutions. Select any image below for a larger version. From the start, one thing I wanted to include in Partly Sunny was a view that gave summary information for both my current location and for any saved location. 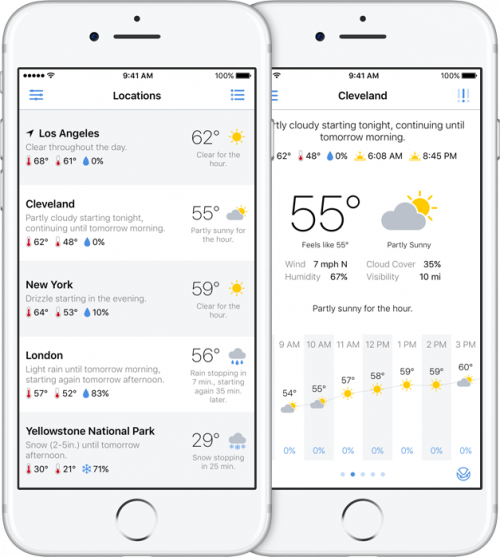 I wanted a way to quickly glance at the weather for these places. But I didn’t just want some basic information like the current temperature and an icon representing the current condition (e.g. “clear” or “light rain”). I wanted this view to be more useful, so in Partly Sunny, the list view includes the current temperature and condition for each location but also offers more: a sentence stating what’s happening over the next many hours at that location as well as the high and low temperatures and the chance of precipitation for the day. 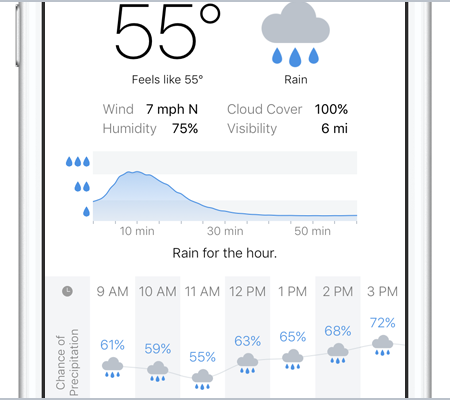 Whereas some weather apps might declare this to be too much information, I wanted this view to be useful for understanding what’s happening. A simple icon stating it’s clear right now doesn’t help in understanding a couple hours later it’s going to be pouring. From this simpler-but-still-useful view, I wanted to be able to select any location to view more detailed information—what’s happening over the next hour, the next day, and the next week at that location. And the key to help visualize this information was graphing it. 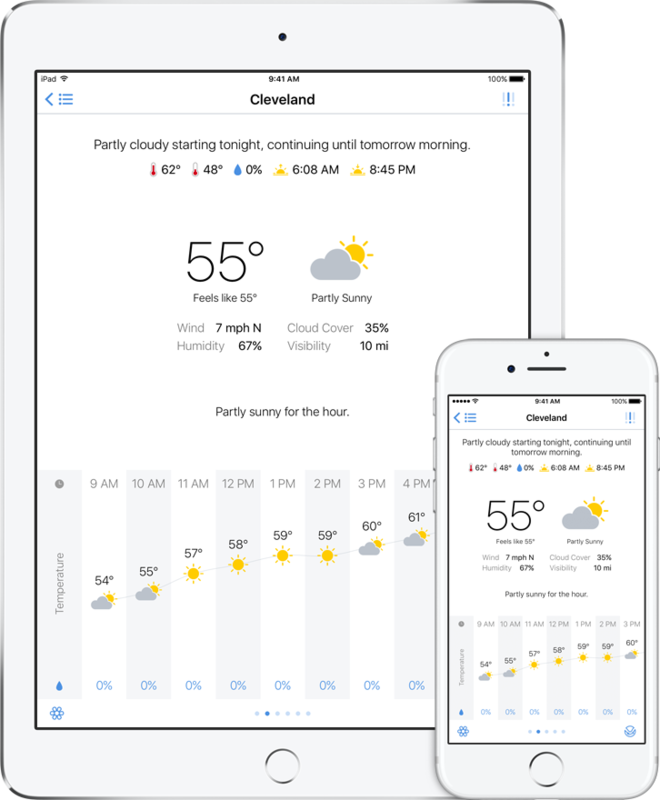 While this isn’t a new solution to weather apps, some do it and some don’t, and I wanted Partly Sunny to do it. So looking ahead in the hour-by-hour forecast, there’s a visual representation of how temperature, chance of precipitation, humidity, wind speed, and more are changing. And looking ahead in the day-by-day forecast, there’s a visual representation of the high and low temperatures over the week. Reading, for example, that the high temperature will be 55° on Monday, 68° Tuesday, 75° Wednesday, 52° Thursday, and 48° Friday is one thing. Seeing it rising and falling on a graph is another. 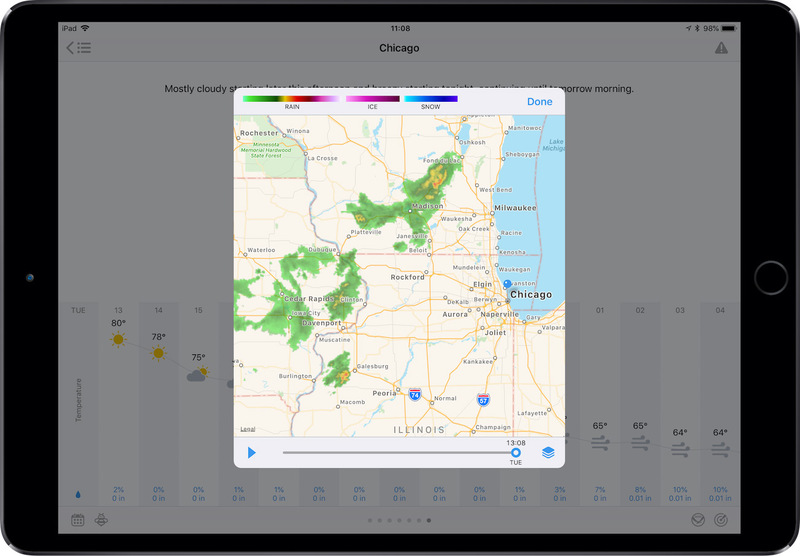 This experience was something I wanted to have on both iPhone and iPad. 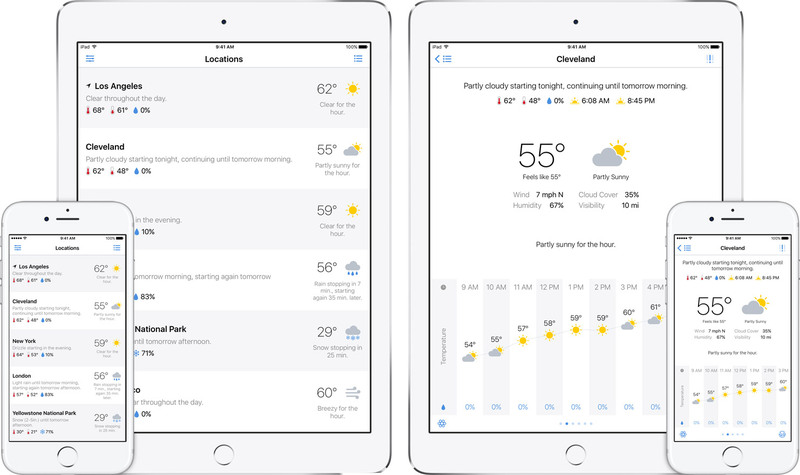 Some of the weather apps I had been using previously were iPhone only, and some of the iPad-friendly apps weren’t the best. 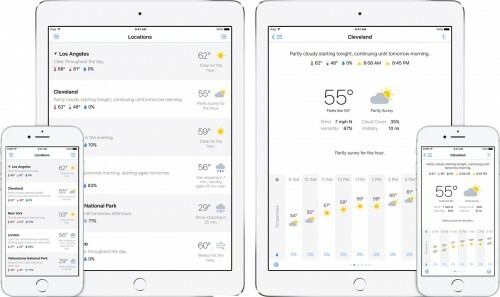 So for when my iPad is in-hand and I want to check the weather, having Partly Sunny run natively on both iPhone and iPad giving me the same experience on both devices was a must-have. 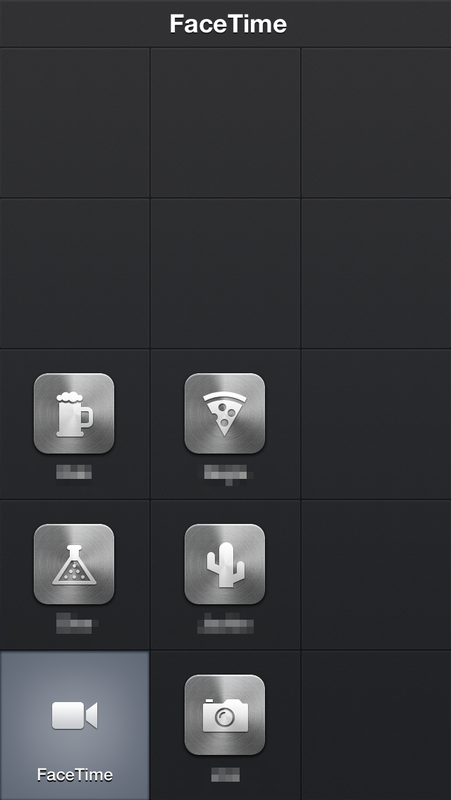 For the navigation bar, I made a system of icons using a dots-and-dashes theme. 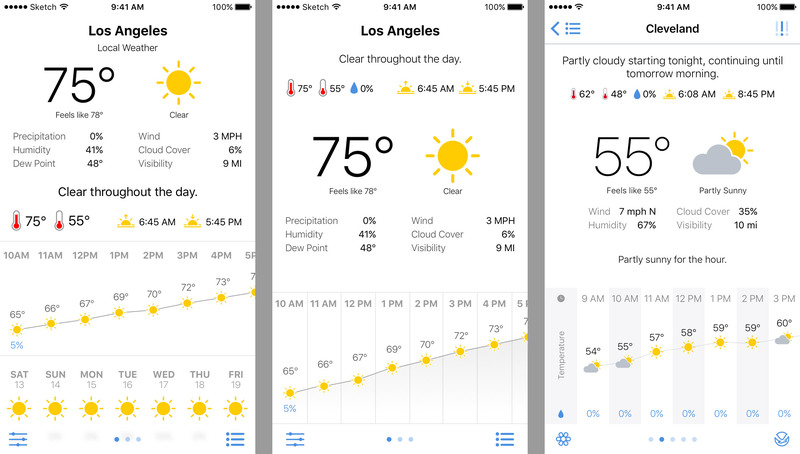 Sure, my icons aren’t going to win any design awards, but they’re unique to Partly Sunny, and that’s what I wanted. Sketch was also helpful in working out another design solution I wanted to include: a dark theme. I’m a proponent of having dark themes for apps so that in lower-light environments, the UI isn’t blinding me (I still wish iOS had some kind of system-wide dark theme). Not all the design solutions in Partly Sunny were planned out from the start, of course, but these were many that were. 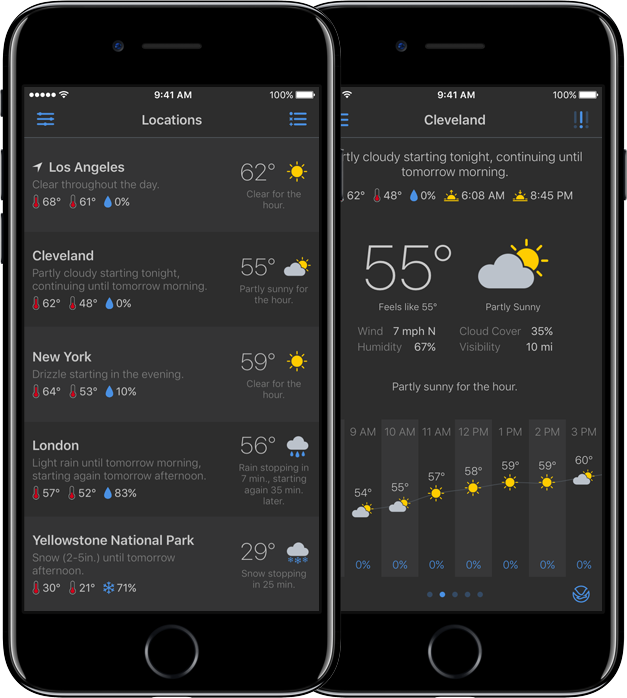 My goal was to build the weather app that I wanted to use, and that goal included a few specific design and technical solutions. I hope those solutions are useful to you as well and help make Partly Sunny the weather app you want to use too! 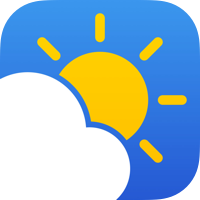 Partly Sunny is available on the App Store for $2.99. Next time, I’ll discuss some of the technical solutions built into Partly Sunny. Stay tuned! 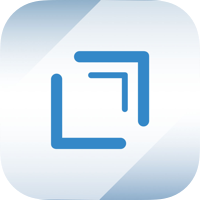 Workflow by DeskConnect has become one of my most used and most indispensable iOS apps. 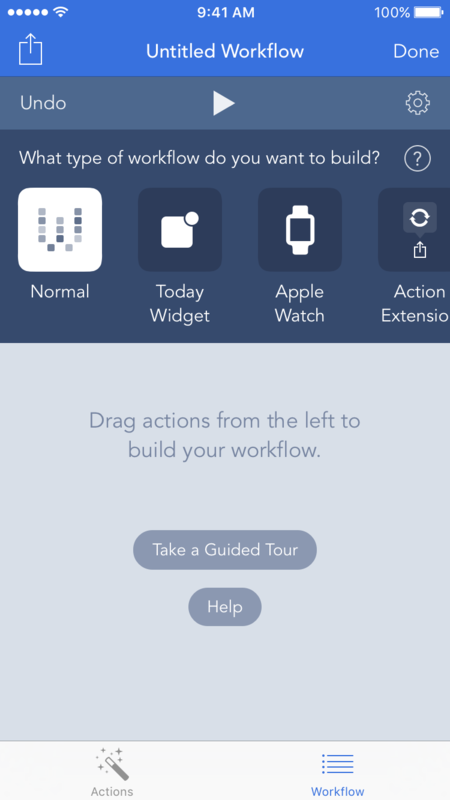 With its powerful and efficiency-gaining functionality, Workflow is an app I use repeatedly throughout the day and take delight experimenting with. 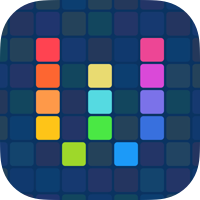 If you haven’t used Workflow before, the app connects and combines apps and actions to automate tasks on iPhone, iPad, and Apple Watch. 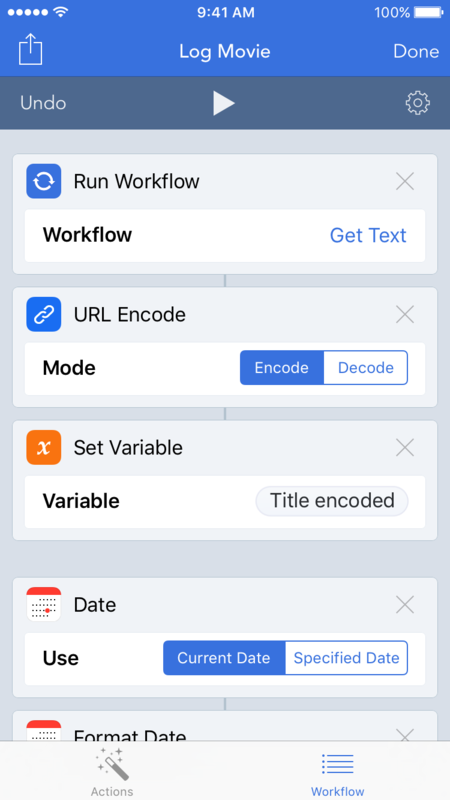 With the ability to create workflows ranging from choosing pre-written messages to send someone to changing the case of a text string to combining burst photos into GIFs to adding entries into Health.app, Workflow has hundreds of actions to create countless combinations however you see fit. If you have used Workflow before, perhaps you’ve run into the same situation I have: you have a string of actions in one workflow you’d like to have in another workflow, and getting those actions in the other workflow requires you to recreate them one by one. Depending on how many there are, this can be rather vexing. What Workflow could use is the ability to copy actions from one workflow to another. How might that work? Like this. And there we have an easy way to copy actions from one workflow to another that both maintains and builds upon the existing foundation and interactions in Workflow. But why stop there? Perhaps you noticed another new action in the favorites list: “Run Workflow”. The block of actions copied above really could be a reusable workflow that is called from multiple other workflows. You could use the above method to copy the actions into those other workflows, but what happens when you want to update that reusable workflow? You’d have to update it in multiple places. Nah. Instead, what Workflow could also use is a “Run Workflow” action that pauses the workflow it’s in, allows the designated workflow to run and optionally return something, and then continues the original workflow. How might that work? Like this. 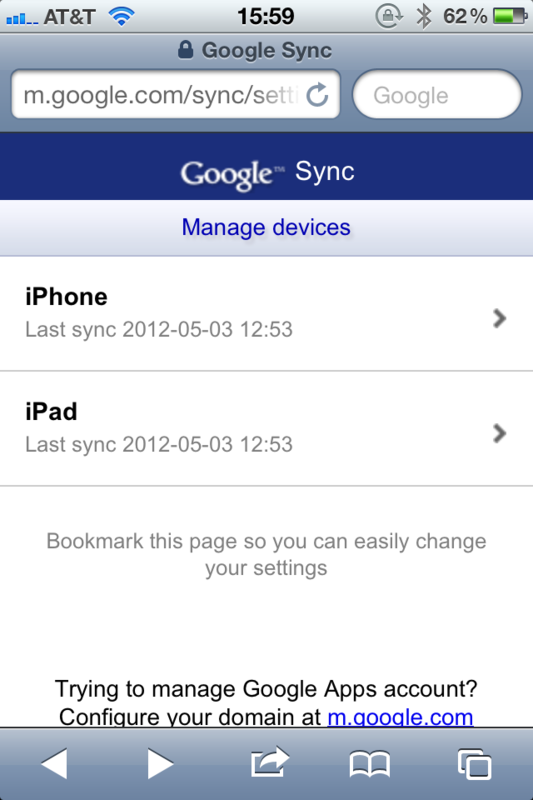 In this case, the action would return text, but in other workflows, it could return an image, a URL, a date, and more. When you run the workflow, it executes the embedded workflow to get or ask for text, returns the text, and proceeds with the rest of the workflow. Now in the future if you want to build on this reusable workflow (for example by adding a string of actions to replace dumb quotes with smart quotes), you can make edits in one place and have all the other workflows that embed the reusable workflow enjoy those edits. That’s far more efficient. And efficiency is what this is all about. 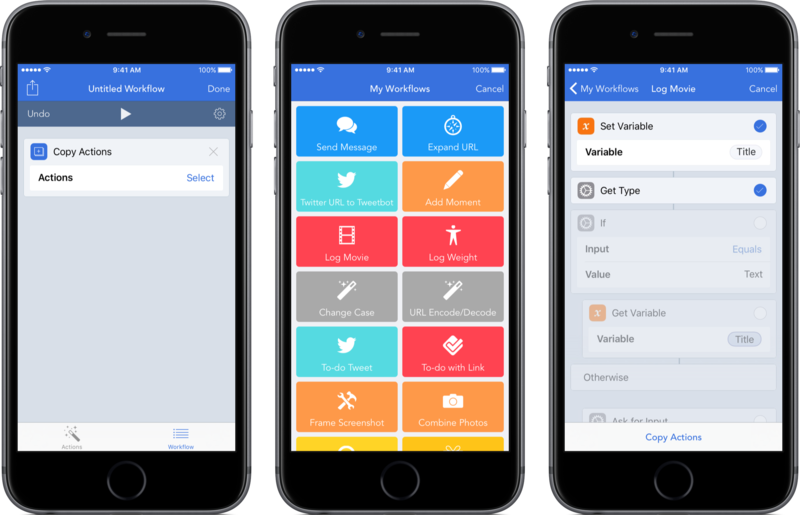 Each new version of Workflow gets better and better with more actions to build more workflows to be more efficient. And I hope one day soon building workflows becomes a bit more efficient with the ability to copy actions from one workflow to another and the ability to embed one workflow in another. If I may quote Workflow, that’s powerful automation made simpler. I started using Launch Center Pro by App Cubby several months ago, and since then, the app has become indispensable for me. Rarely does an app disrupt my dock arrangement, but Launch Center Pro did. 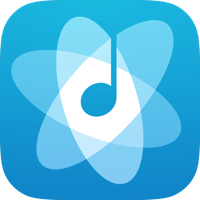 Perhaps the app isn’t for everyone, but below I’ll share how I use it and what for. What is Launch Center Pro? Through custom URL schemes, developers can allow users and other apps to deep-dive into features or sections of an app. 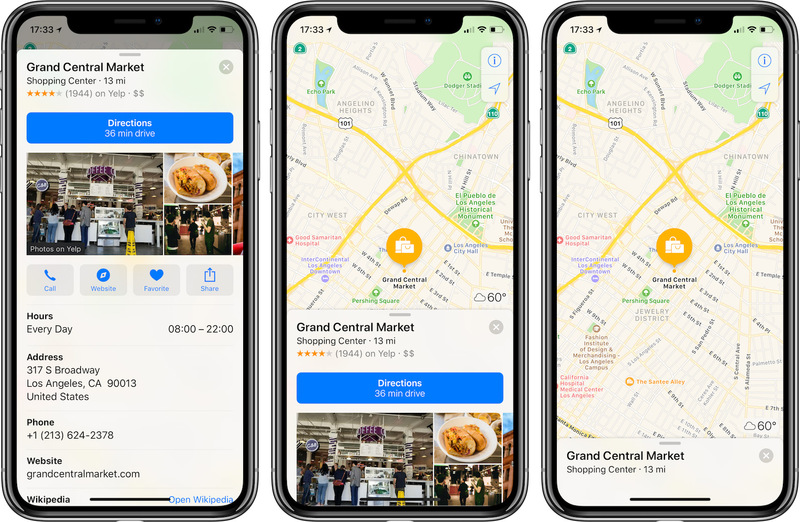 For example, with the tap of a single button, you could search in the Yelp app what restaurants are nearby instead of finding the app, launching it, bypassing the occasional splash screen, tapping the Search tab, typing in “restaurants”, and finally hitting the search button. The same idea applies to Messages. Rather than launching Messages, possibly having to back out of a message thread from someone else, searching through the list of message threads to find the person you want to send a message to, selecting the thread, and then typing and sending your message, Launch Center Pro can use a URL scheme to send a message to a particular person much faster. The speed at which I can accomplish normally-several-step actions is what makes Launch Center Pro so useful for me. And that the app is completely customizable (including what icons are used) makes it useful for many, many workflows. Here’s mine. 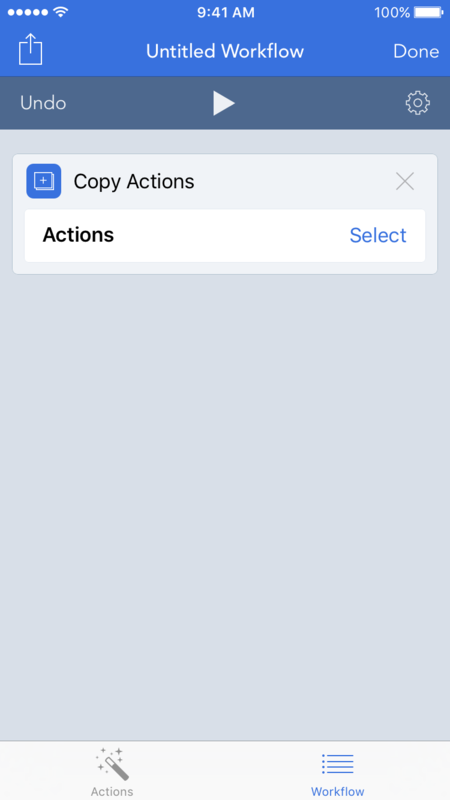 The app supports “Groups” and “Actions”. Groups are folders of actions. 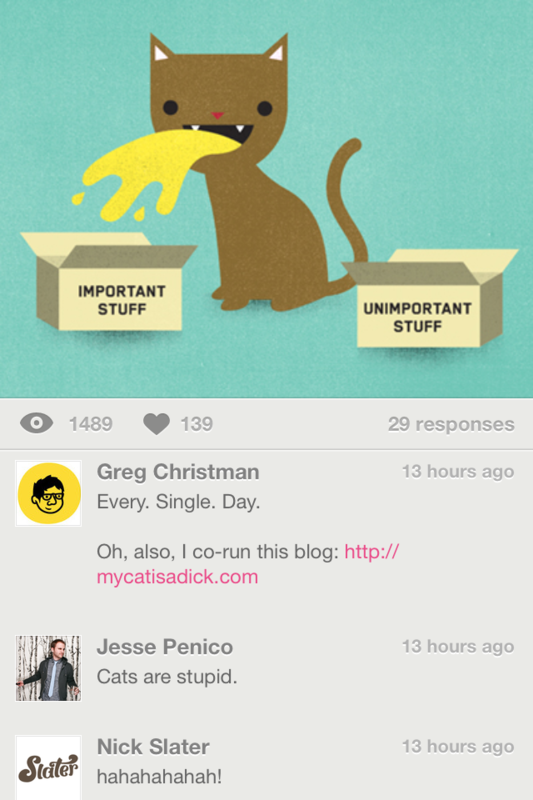 Actions are the specific task to perform (whether it’s launching an app or calling someone). Tapping the Edit button (the pencil in the upper-right corner) places the app in edit mode (love the blueprint theme) where you can add, delete, or rearrange groups and actions. Tapping on a group enters that group for editing. My main screen has five actions and eight groups. Here’s what the actions do. 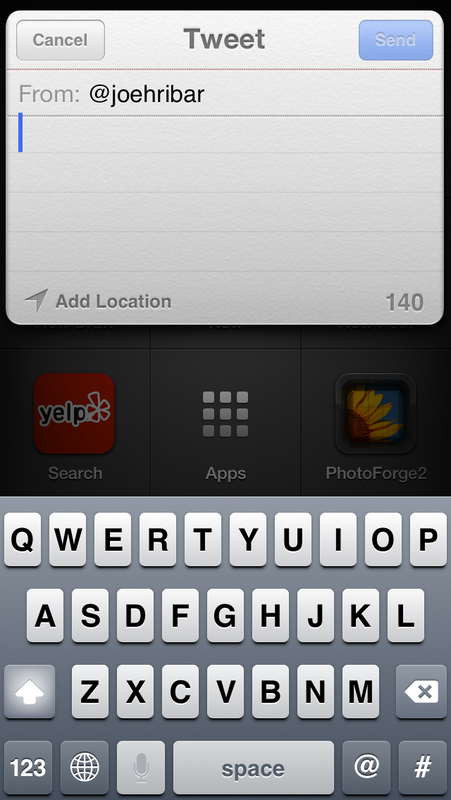 This shows a window inside Launch Center Pro where I can compose—with the Twitter keyboard—a tweet draft and save it to Birdhouse app. 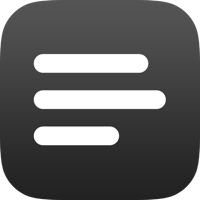 Launch Center Pro supports Apple’s custom keyboards; when composing an action, you can select the default keyboard ([prompt]) and add the additional directive. This deep-dives into Instagram’s camera. Rather than launching the app and tapping the camera button, this is a shortcut to bypass loading my feed. Like the new-draft action, this launches the keyboard prompt where I can enter a search term and jump right to searching that term in the Yelp app. If you always wanted to search for a specific thing—like “restaurants”—in the example URL you could replace “[prompt]” with “restaurants”. Launches the app so I can edit a photo. Those are the five main-level actions. Here are what I have in each of my groups. 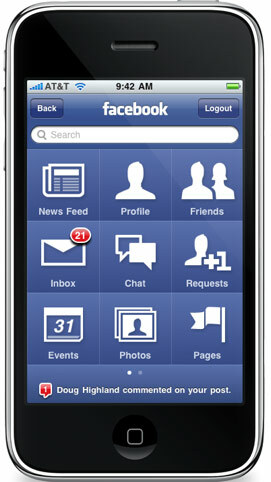 To open a group, you tap and hold on the group to reveal its contents and drag your finger to the action to launch it. As a result, I keep my more-frequently-used actions closer to the group’s center (if you were wondering about my arrangement inside each group). This group contains actions to create a new event in Agenda (my calendar app of choice); create a new email in Mail; create a new note in Simplenote (my note-taking app of choice); create a new timer in Timer; and add an app, movie, album/song, or “other” to Recall app (useful for when someone says, “Hey, you should see ‘Reservoir Dogs’”, and I don’t want to forget). This group contains shortcuts to launching apps. These actions give me easy access to apps I use but don’t use often enough to warrant them not being buried inside a folder. No special URLs here; just URLs to launch these apps. This group contains Safari bookmarks for sites I might want to quickly jump to. 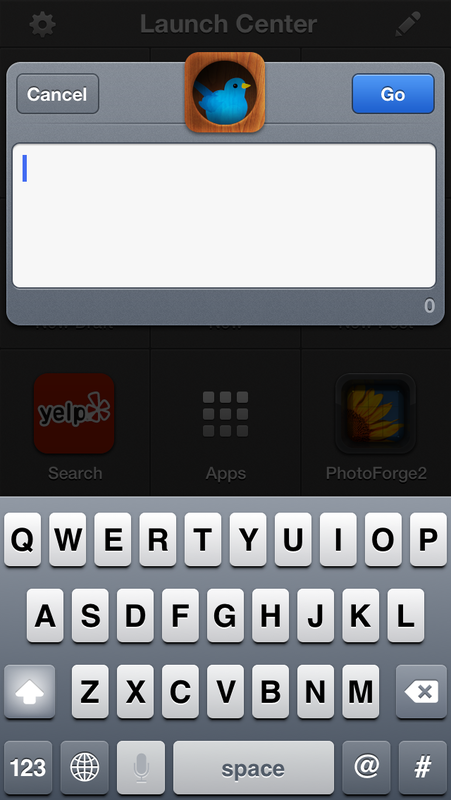 This group contains actions to search or translate text I enter in the keyboard prompt. This group contains actions to jump to specific sections in Tweetbot (my Twitter app of choice). 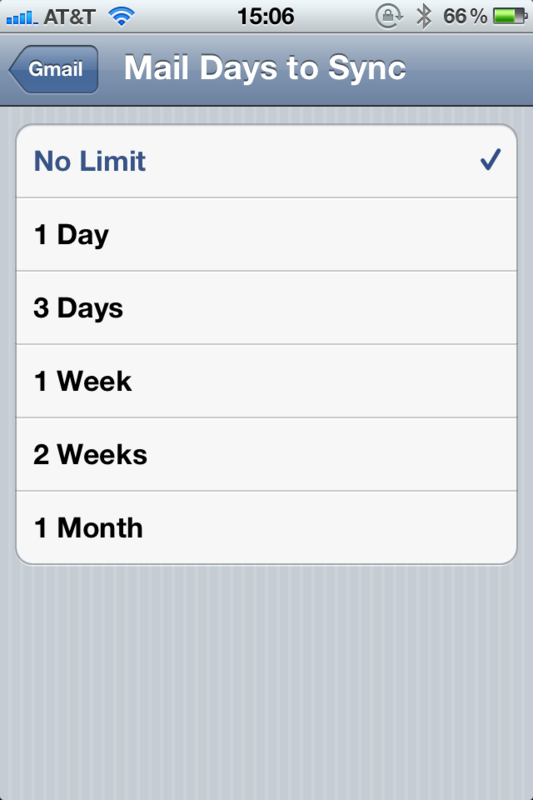 This group contains shortcuts to FaceTime specific contacts. This group contains shortcuts to call specific contacts as well as a keypad button and a contact-search button. 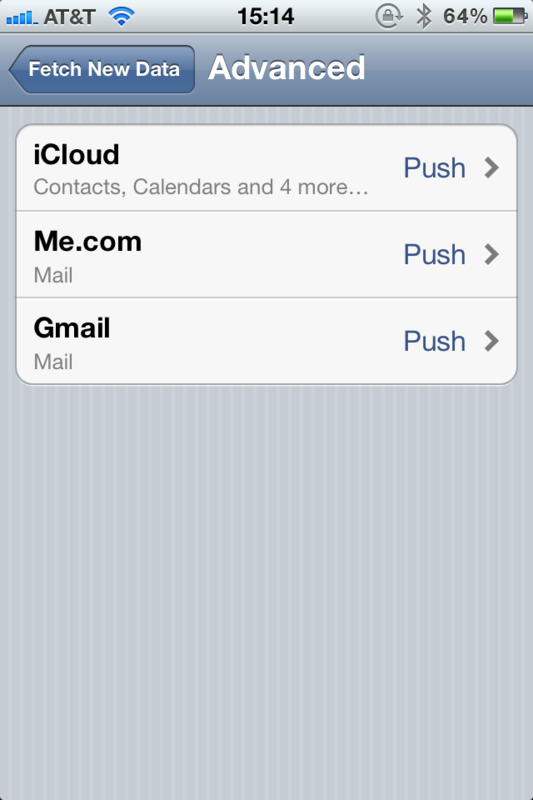 This group contains shortcuts to send a message to a specific contact as well as a generic new-message button (I use this when composing a message to multiple recipients; Apple doesn’t have a URL scheme for a multi-recipient message). So, that’s my Launch Center Pro workflow. If you only use a few apps or call/message a few people, perhaps this app isn’t for you. 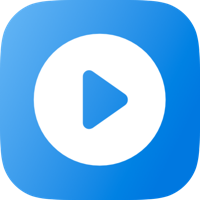 If, though, you enjoy having quicker, easier, and more efficient ways to perform frequent actions, give Launch Center Pro a try. After using it since July, I can’t be without this app. 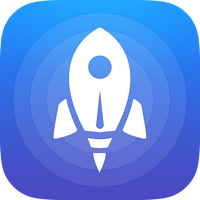 Get Launch Center Pro on the App Store for $4.99. Microsoft today announced the acquisition of the multi-touch-pioneering company Perceptive Pixel. This is a big get for Microsoft. Couple this with Microsoft now producing its own hardware, and these are exciting times for the company. This news was striking to me because of my connection with Perceptive Pixel. 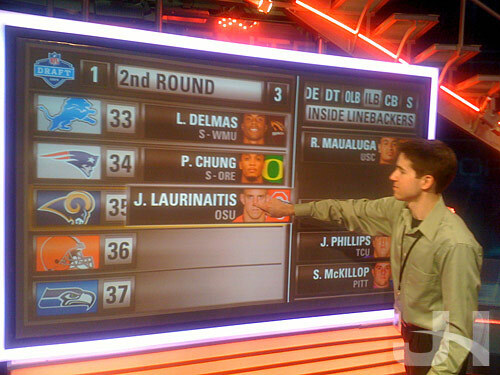 While at ESPN, I worked with Perceptive Pixel multi-touch technology for three-and-a-half years creating broadcast touchscreen graphics for SportsCenter. 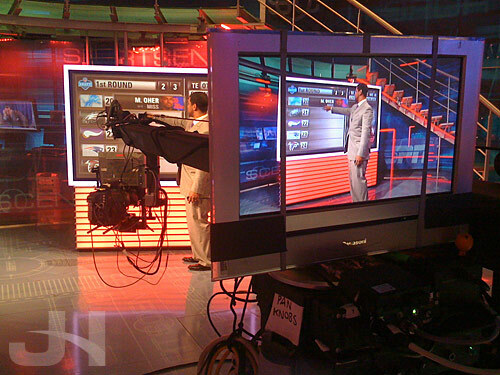 On the SportsCenter set is a 103-inch multi-touch touchscreen for anchors and analysts to use during live broadcasts. So why is this a big get for Microsoft? Two reasons: technology and customers. First, the technology. When company founder Jeff Han gave his Perceptive Pixel demo at TED back in 2006, multi-touch technology was groundbreaking. The iPhone and its multi-touch technology wouldn’t be unleashed until the following year. And remember CNN’s Magic Wall during the 2008 presidential election? That was Perceptive Pixel technology. Jump to 2012, and Microsoft is lagging behind Apple in the consumer space. Acquiring Perceptive Pixel marks a more concerted effort by Microsoft to keep up—not necessarily catch up—with Apple. No doubt the Surface will make use of Perceptive Pixel technology—if it already doesn’t. Why should Microsoft sink money and time into developing their own—perhaps not as good—multi-touch technology when they can use tried, tested, and successful technology from a company dedicated to producing said technology. Second, the customers. Take a look at Perceptive Pixel’s customer list. The big industries on that list? Government, broadcast, and education. Microsoft just gained huge inroads with all those industries. Microsoft hasn’t yet announced what their plans are for Perceptive Pixel, but the acquisition alongside their new hardware ventures make for interesting speculation. If nothing else, Steve Ballmer can take notes from Jeff Han on giving presentations. 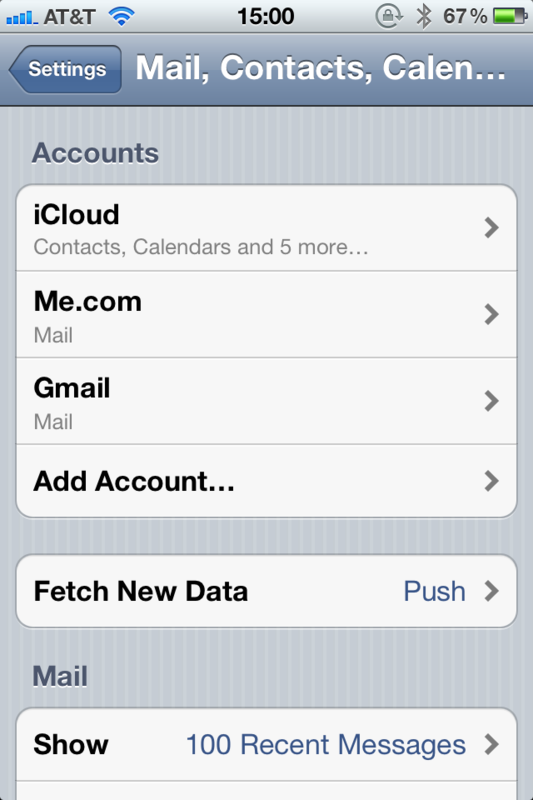 Today, I learned Gmail can be set up as a Microsoft Exchange account in the iOS Mail app to enable push email-access. With push, you’re instantly notified when a new email arrives—no more having to wait for Mail to poll the Gmail server every 15 minutes. 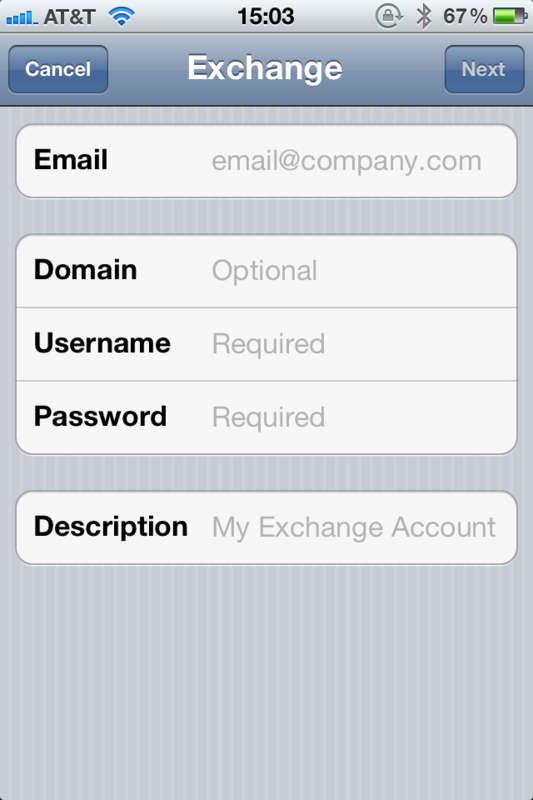 Tap Save, and your Gmail Exchange account will be added. 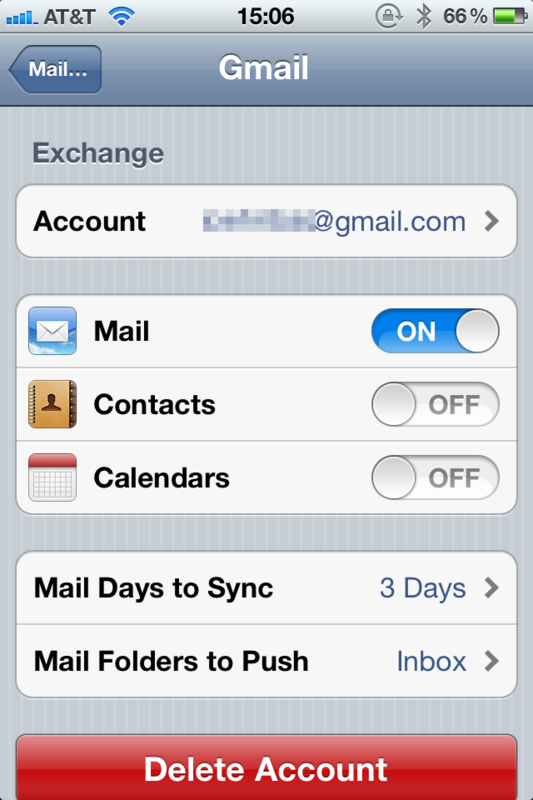 In the settings for the account, there’s one more option you may wish to change: “Mail Days to Sync”. So now Mail is set up to use Gmail through an Exchange account. 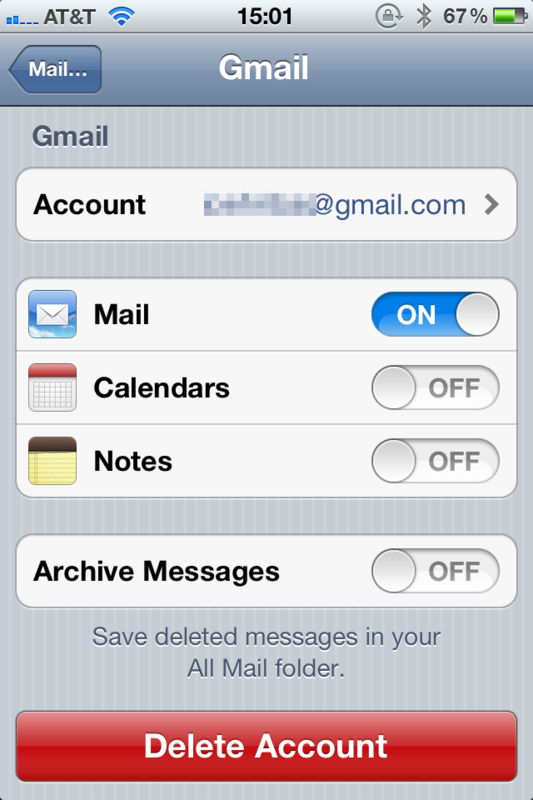 In this setup, the delete button in the Mail app by default archives your mail to your “All Mail” folder instead of moving the mail to the trash. If you’re okay with that, then you’re done. Enjoy your push Gmail. If, though, you want to fix that and be able to actually delete emails, there’s one more step. And that’s it. 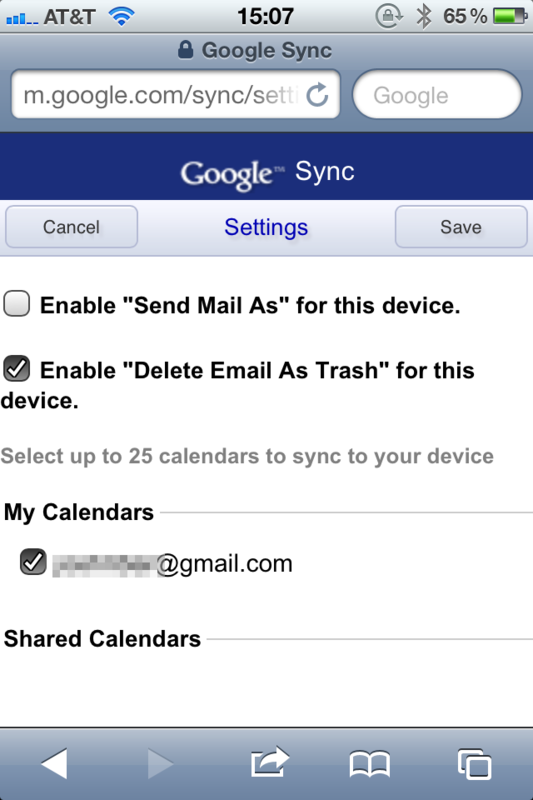 Now your Gmail uses push, and the Mail app delete button deletes. Enjoy! 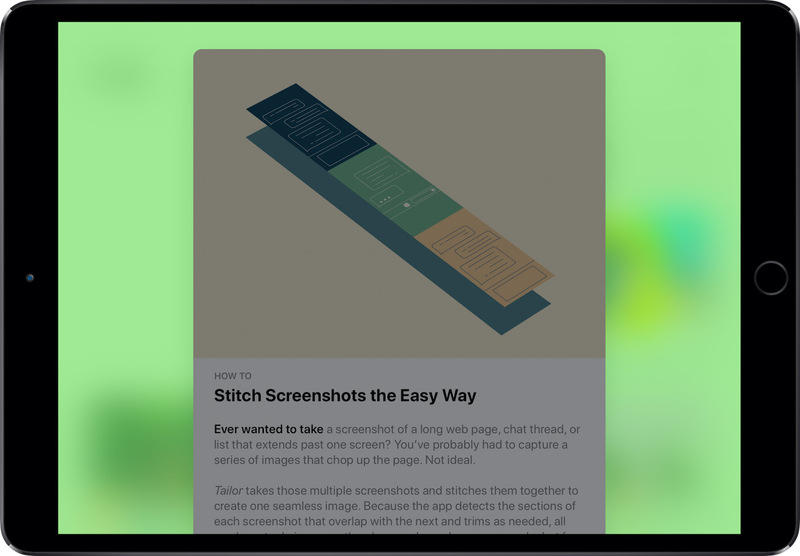 If you aren’t familiar with Dribbble, it’s a website/network for designers to showcase small screenshots (called “shots”) to get feedback (and depending on your popularity large amounts of praise, too) from others. In addition, the site is a great source for inspiration and for seeing what cool things others are working on. 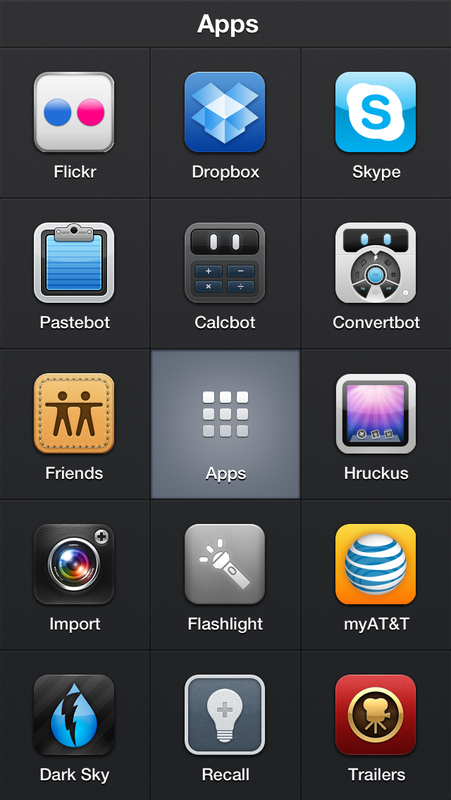 Dribbble doesn’t have its own native iPhone app, so numerous third-party developers have stepped in to fill the void. 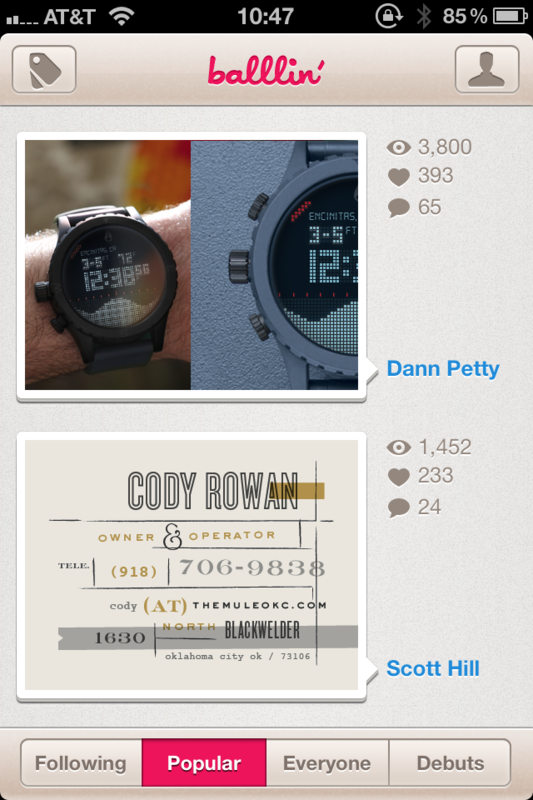 The Dribbble app I’ve been using is Balllin’; the app looks great and is easy to use. This week, I tried out Backboard. Like Balllin’, the app looks great. Backboard also makes some improvements on user interaction with its reliance on gestures over buttons (I’m a sucker for gesture UI). THE DESIGN. (I’m a sucker for minimal design, too.) The design of the app is simple and flat and as a result allows the artwork it features to shine with no distracting or unnecessary chrome. THE GESTURES. 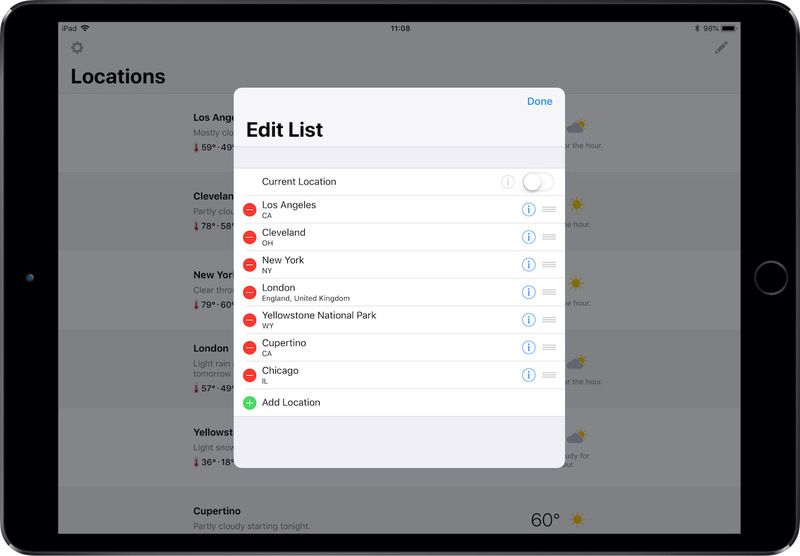 When in a list, swipe right to reveal the menu of lists. When on a shot page, swipe right to return to the list. No buttons taking up precious screen real-estate and browsing time (like in Balllin’). ALL THE TAPS. With simplicity exuding from so many other aspects of the app, liking or commenting on a shot is anything but simple. When in a list, if I want to like a shot, I have to tap FIVE times to like it. 1: tap the shot in the list to go to the shot page. 2: tap the shot image on the shot page to reveal the iOS arrow-actions button. 3: tap the action button. 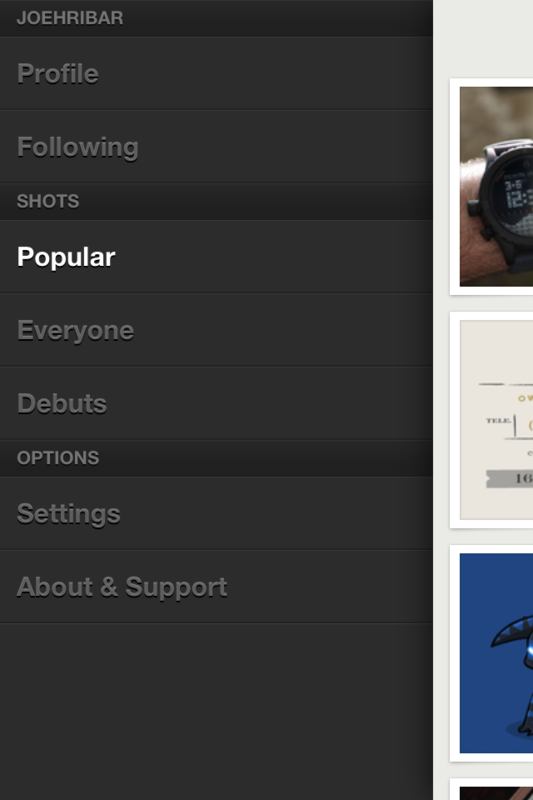 4: tap “View on Dribbble” from the slide-up menu to launch the in-app browser. 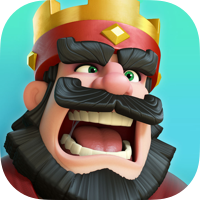 5: tap like on the mobile page. If Dribbble ever opens their API to allow third-party apps to access liking and commenting, this process could be simpler. But it could be simpler before that as Balllin’ demonstrates: liking a shot in Balllin’ only takes THREE taps. PAGINATION (aka more taps). There is no continuous-scrolling in a list. Instead, at the bottom of a list are buttons for the previous and next pages. Again, if the app is otherwise touting simplicity, this seems out of place. Or if the pagination must stay, why not continue with the gesture theme and allow swiping left or right on the page bar to switch pages? Why not have the icons on the list view, too (again for simplicity)? In the end, the app’s minimal design and gesture-based UI allow me to overlook the annoyances for now, and I hope future updates make this a slam-dunk Dribbble app. If you’re looking to draft a new iPhone Dribbble app and you appreciate clean design and gestures, take a shot at Backboard. I don’t have much to add to what’s already been said about the Twitter.com and Twitter for iPhone redesign/restructure; I don’t often use either (I do most of my tweeting from Tweetbot). Was this on purpose? Or was someone just being lazy? If this wasn’t a mistake, it sure looks like one. I’m assuming Twitter has an internal identity guide that their designers are supposed to follow. 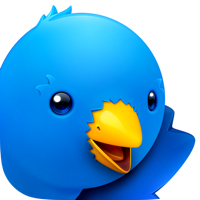 And if the designers didn’t have that guide, they could have easily gone to Twitter’s public logo page, downloaded the bird, grabbed the RGB color, and designed the buttons using the official Twitter blue. Details matter. The consensus is that Twitter struck out with the redesign/restructure. They even seem to have struck out with their own color. Twitter has the blues. And they’re using too many of them. Of course, screen sizes do still mat­ter when browsing the web. 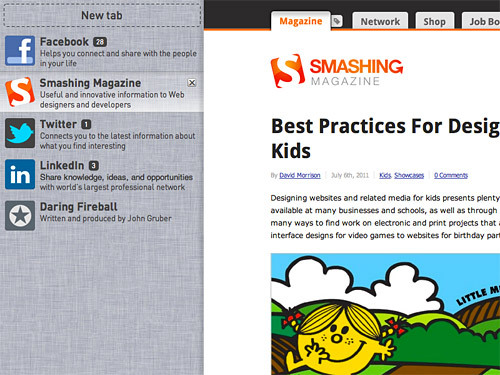 Since many web sites will be longer than your screen is tall, the less user inter­face we put vertically, the bet­ter. But most screens today are widescreens, so why are we not put­ting the left- and right-hand sides of the screen to better use, instead of for­cing everything into a bar on the top of the window? President Obama this week gave a speech in Schenectady NY. And apparently he also opened the Stargate? 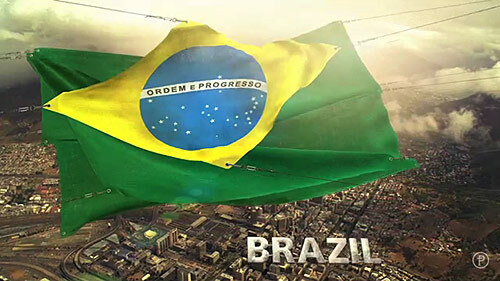 I’ve talked about the music of ESPN’s World Cup coverage, but what about some of the graphics? Motionographer recently posted a montage of Prologue’s graphics package for ESPN. Great stuff. Check it out! I still have a few tweaks and updates to work on, so the graphic isn’t finished, but after spending two months working on it, finally seeing it on TV is a great feeling. What’s special about this graphic is the on-the-fly calculations of NBA team salaries based on several factors: signed player salaries, free agent cap holds if they have Bird rights, and team roster charges if the team has less than 12 players. Each time a player is moved to or from a roster or a team renounces all or individual free agents, the graphic runs through a series of calculations to determine the team’s new salary total and their available cap room. 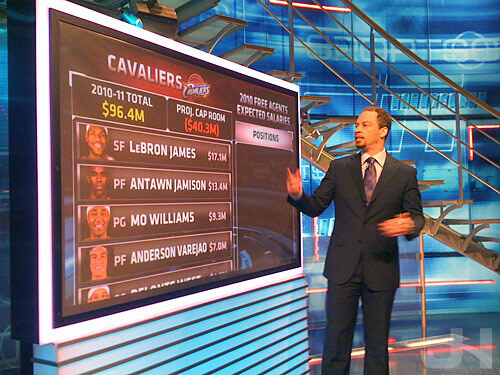 Because of this graphic, I now know more about the NBA free agency process than 1.) I care to know and 2.) I ever thought I would all thanks to this year’s big story: LeBron James. When these powers combine… they’re gonna take pollution down to zero! A 1,550-mile-long network of offshore wind stations could provide power from Massachusetts to North Carolina with minimal threat of outages, according to a new study. Scientists had considered offshore wind as a potentially limitless source of power. Compared to land, the ocean has stronger and more constant winds, though still not constant enough to be a primary energy supply. This study indicates that offshore wind deserves more serious consideration as an energy alternative. There are currently no commercial offshore wind stations, though companies have started developing six wind farms along the east coast. Together, the developments could produce as much energy as a large coal or nuclear power plant. These seems very promising. Couple this with developing super-efficient solar panels, and, well, we might just make that green-haired captain proud. The last 50-ish years have been remarkable period of human achievement. Look at the entire timeline of human existence and then look at the last 50 years or so. At no time in human existence has technology not just electronic/computer technology advanced so rapidly and so robustly. Truly remarkable. Pretty amazing. 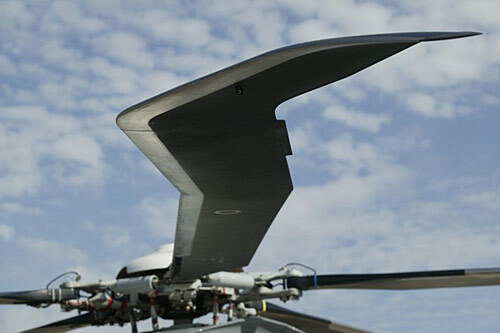 I’d say look for this technology in those unmarked black helicopters, but you won’t hear them coming. Hewitt also says he’ll post screen shots and more detais on this Facebook page for the iPhone app next week, and that he’s looking forward to getting started on v. 3.1 tomorrow. For avid users of Facebook (Joe = guilty), having features currently available on the web-version of the site soon-to-be-available on the iPhone-version of the site is a huge victory for usability and consistency. Woo! Google Maps recently made a huge usability improvement to their Street View technology. To “drive” along the street, you had to continuously click an arrow that moved them incrementally along the street. Now, you can double click an area on the street and fly to that location (or even double click on something along the street to zoom in). A huge usability improvement. 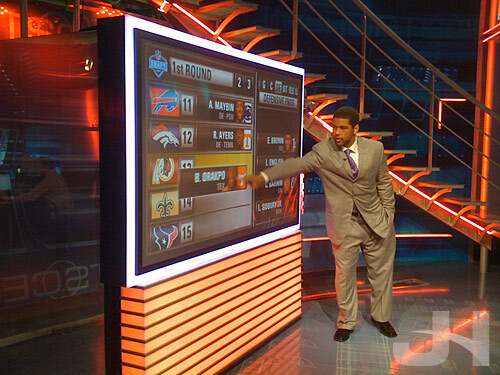 I was on-hand yesterday to observe Doug Gottlieb making his NBA Draft predictions on SportsCenter using the Perceptive Pixel box. This graphic is a modified version of the graphic I developed for the NFL Draft. When I went to France last year, my parents and I used Skype to keep in contact. For anyone traveling overseas and wishing to keep in contact with people here in the States, or for those who are here and wish to keep in contact with someone overseas, I highly recommend using Skype because the service is convenient and it’s FREE!. Just download the free Skype application on your computer, setup your free account, and have the other party download and setup also, and you’re on your way to free audio and video chats. Did I mention it was free?